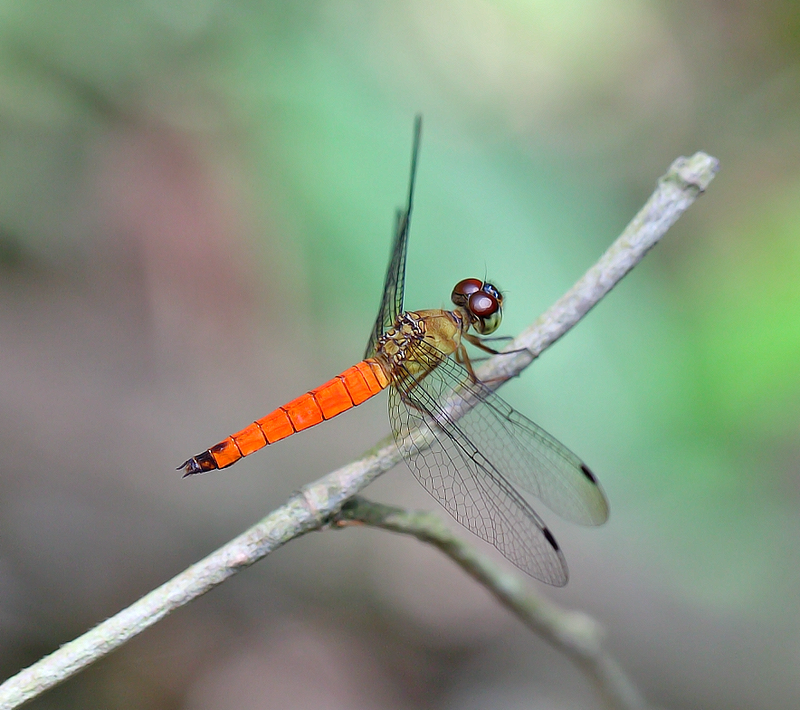 A common species that can be easily found near degraded forested habitats within and outside nature reserves in Singapore. 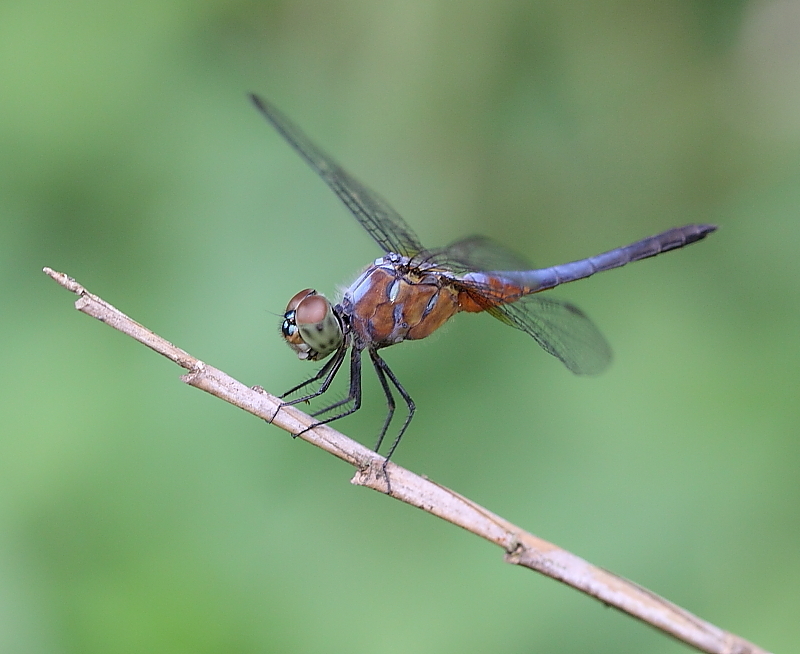 I have seen this species at many locations especially within the forest fringes at Bukit Timah Nature Reserve, Chestnut Avenue Forest, Upper Seletar Reservoir Park and many other places. 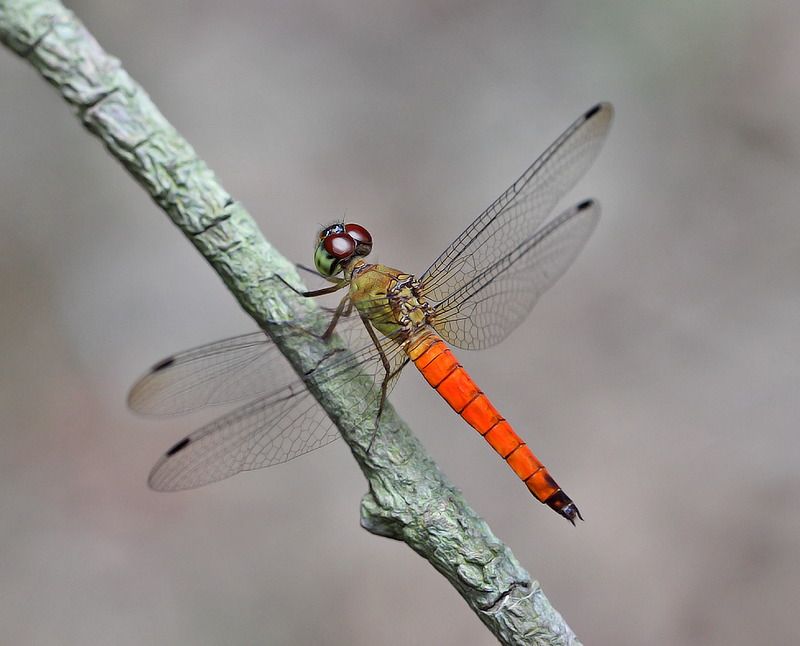 They can be found at or near water sources such as ditches, ponds, small streams and rivers, resting on boulders, tree branches and leaves. 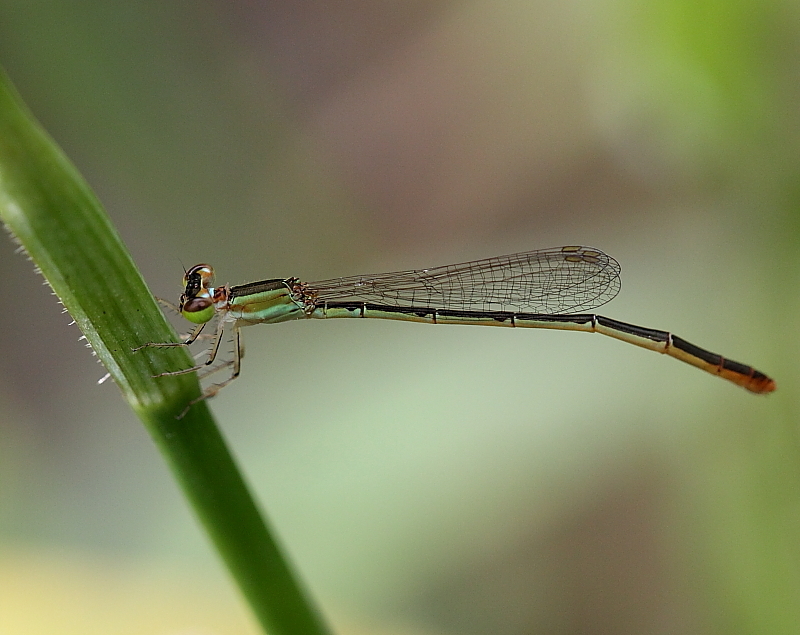 Sometimes they are found far away from any water bodies especially at fringes of the forests, and wastelands. 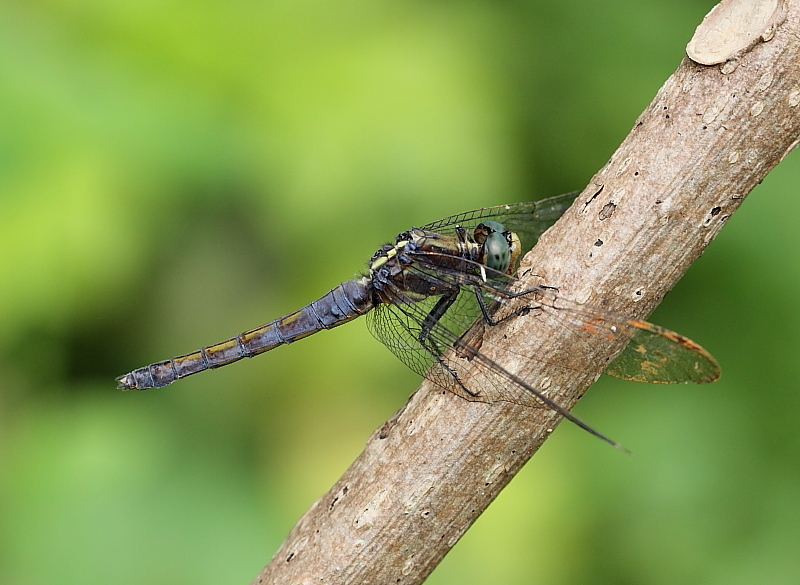 The male has bluish green eyes. 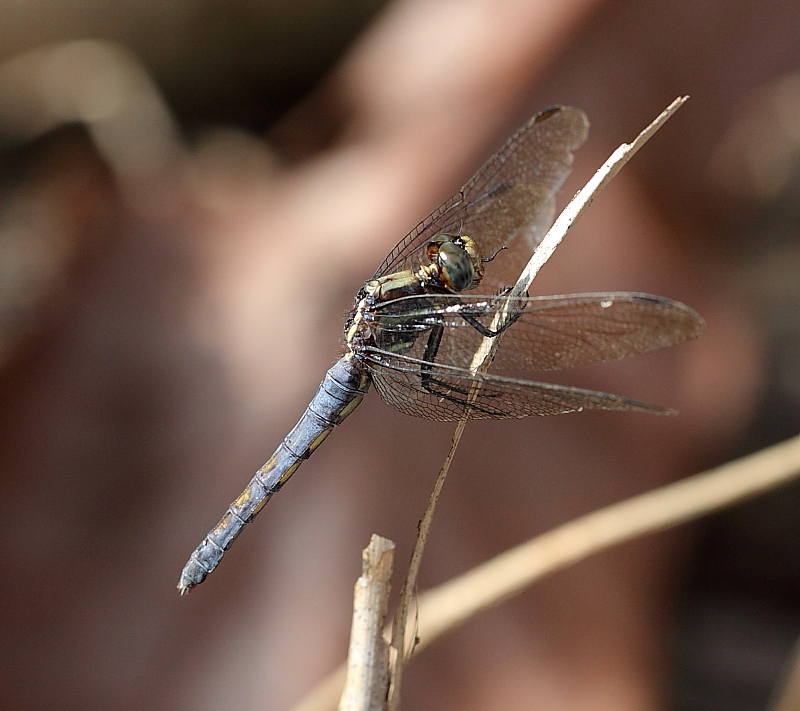 The thorax is generally dark blue and abdomen is lighter blue with the last two segments darken. 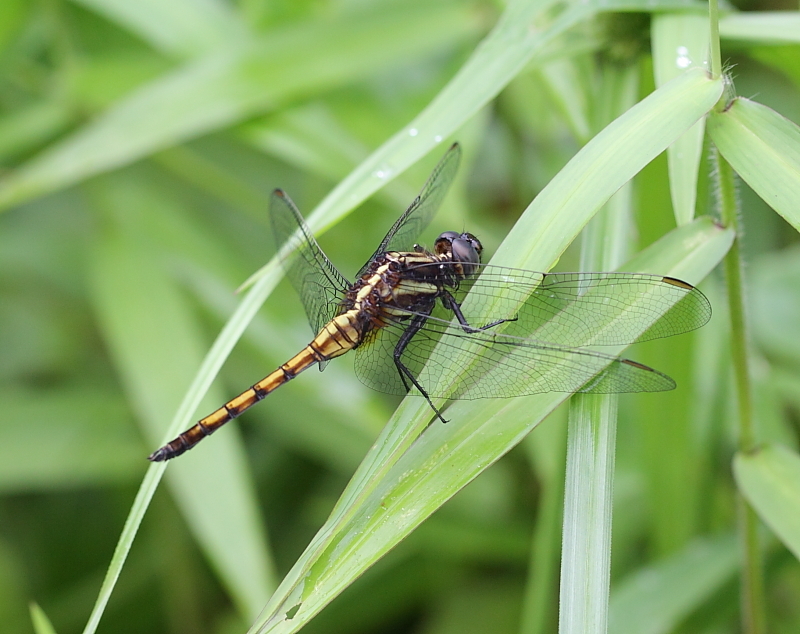 Younger male has a lighter brownish colour. 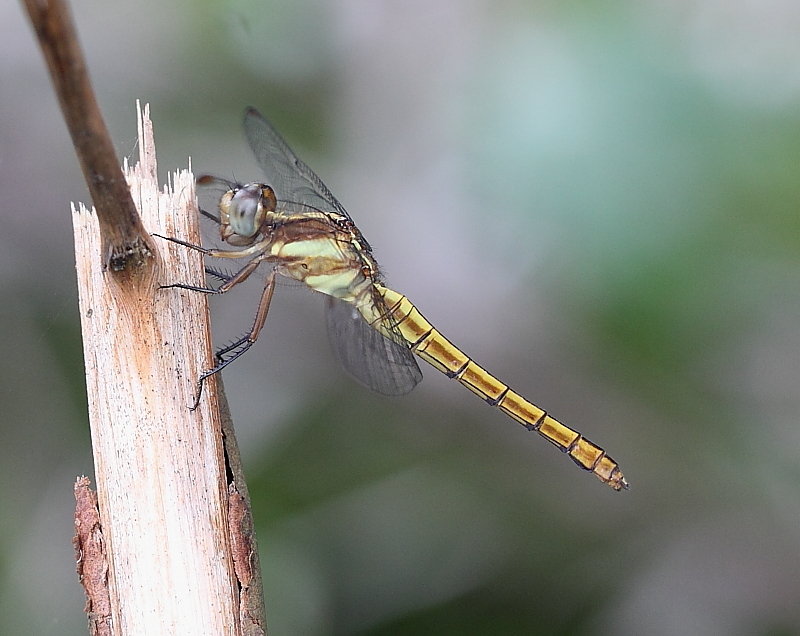 Female is light brown with greyish green eyes. 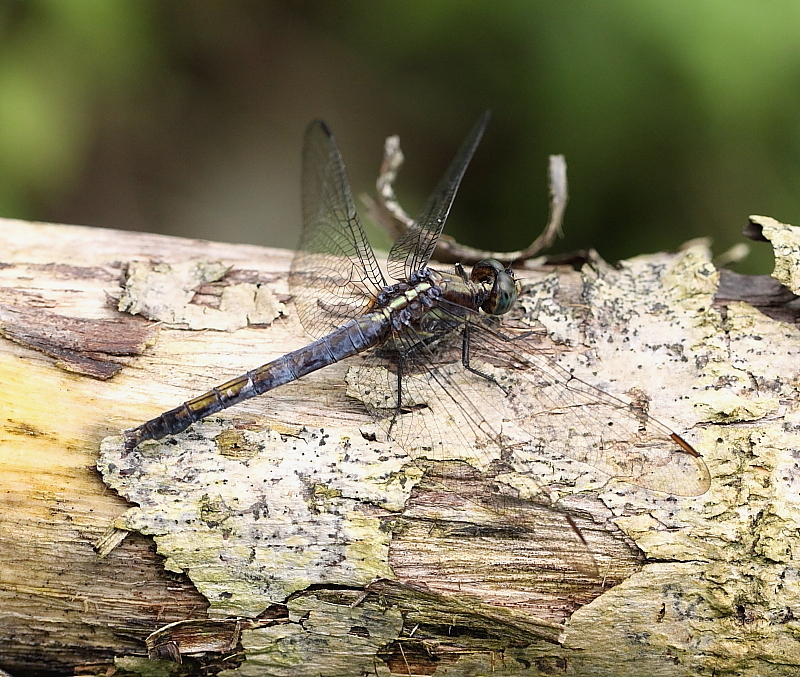 Both aged male and female developed pruinosed over their bodies which are covered with powdery blue colouration. 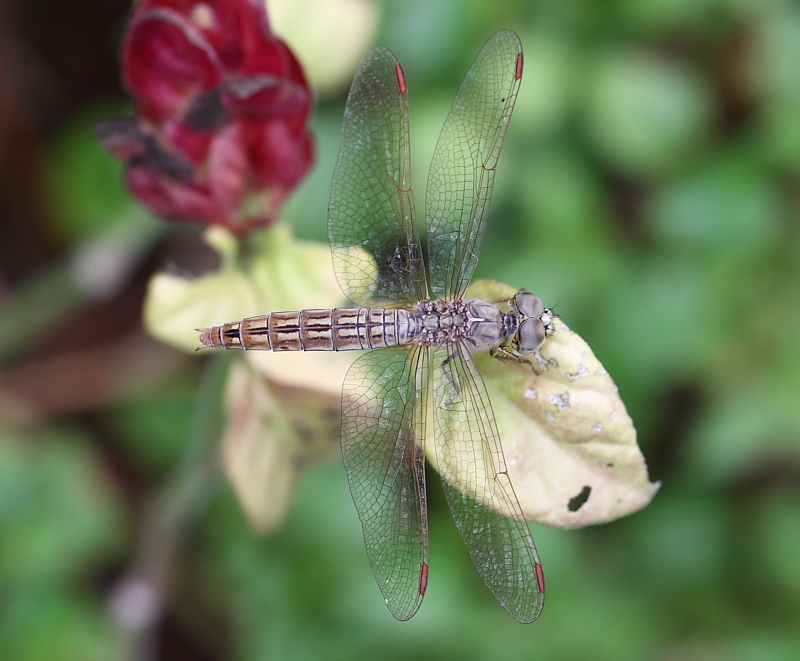 A snapshot of various copula taken on various occasions. 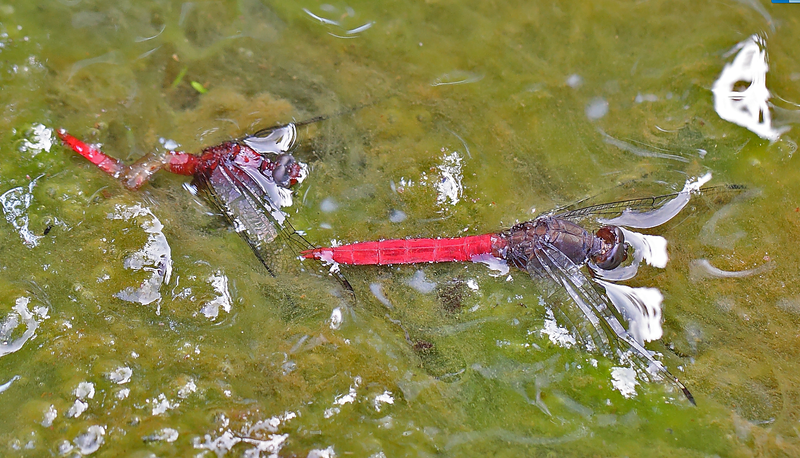 * more pictures at photo index! 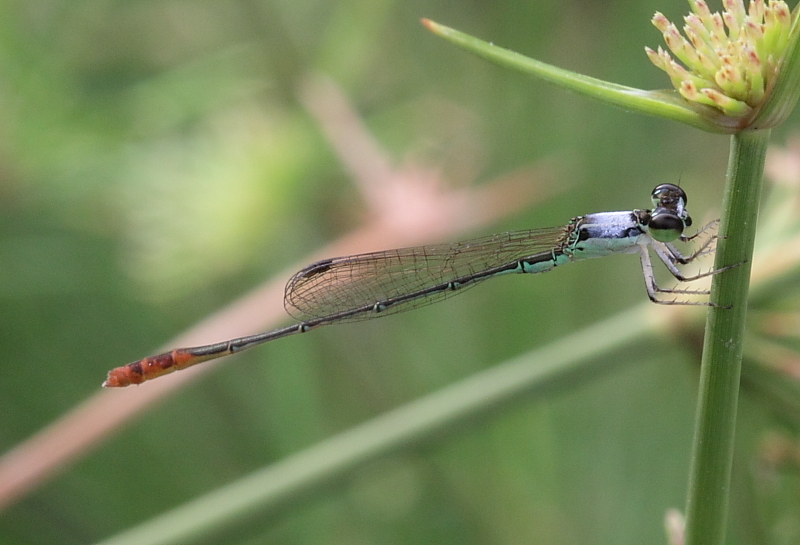 This is a very small damselfly with a wing span of only 9-10 mm. 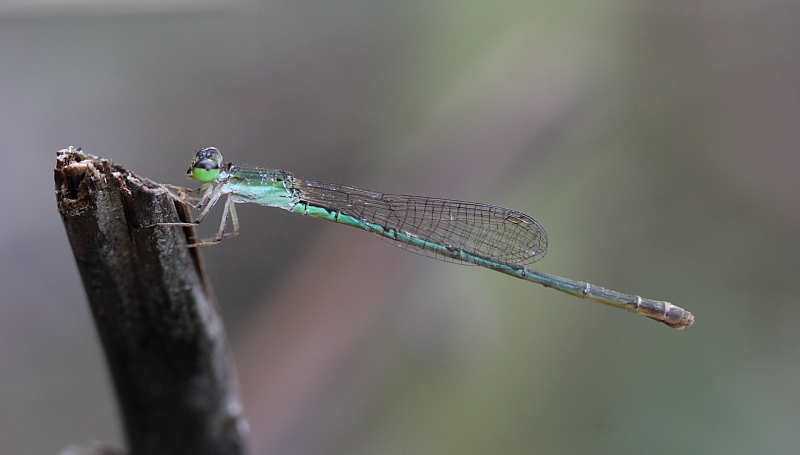 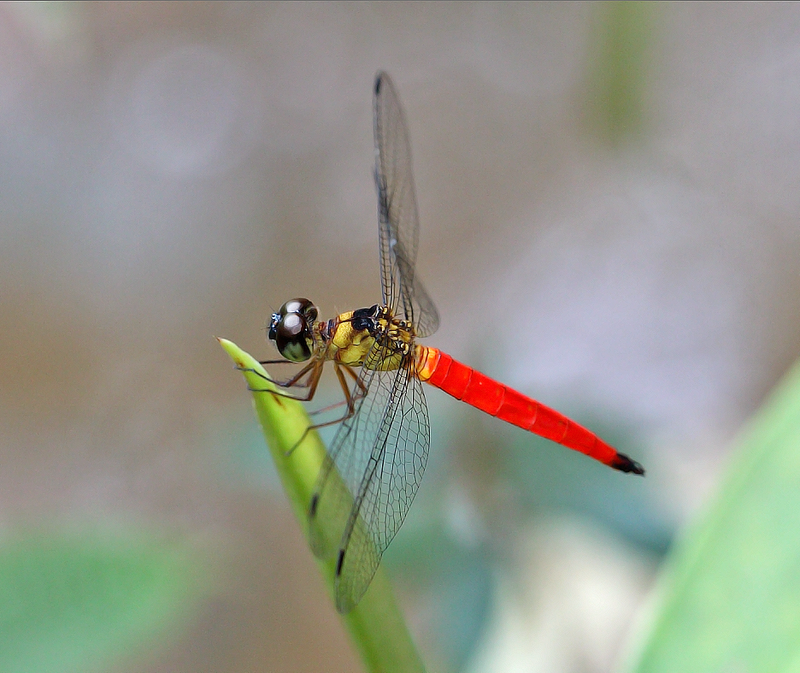 It is a relatively common and widespread species of damselfly in Singapore. 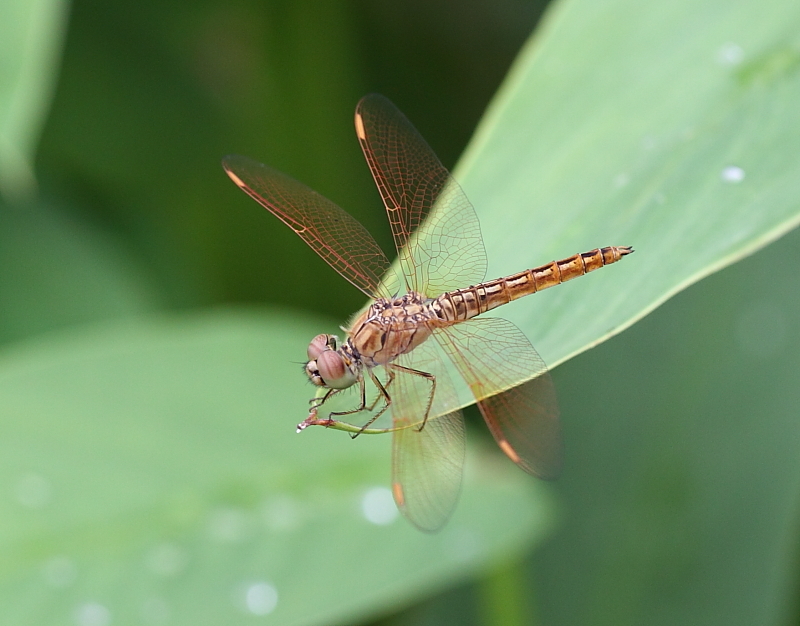 It can be found in grassy areas with water bodies such as ponds, lakes, streams, and drains. 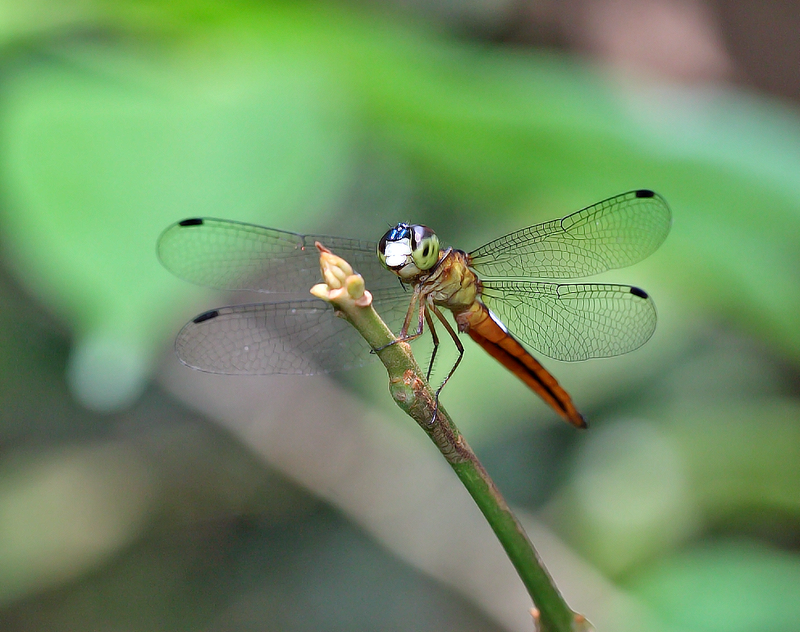 So far, I have seen this species at Toa Payoh Town Park, Chestnut Forest Trail, Mandai Forest, MacRitchie Nature Reserve, and Sungei Buloh Nature Reserve. 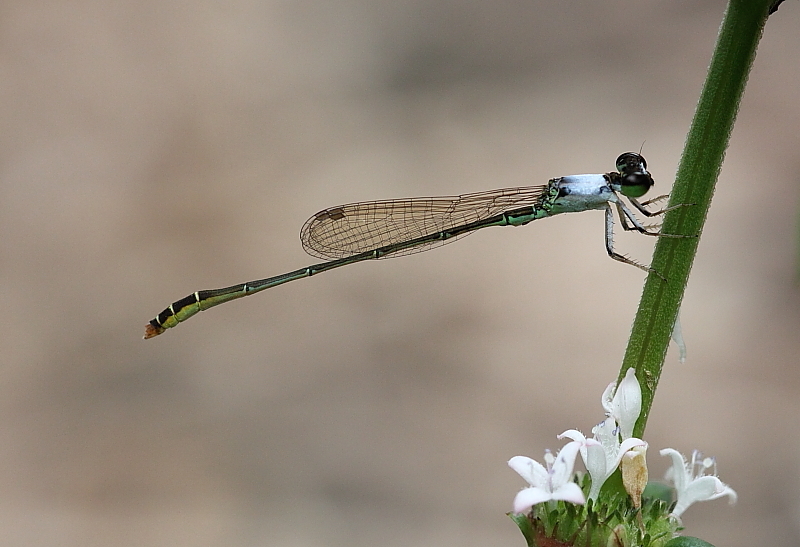 Due to it’s size, this tiny damselfly has often been overlook by photographer. 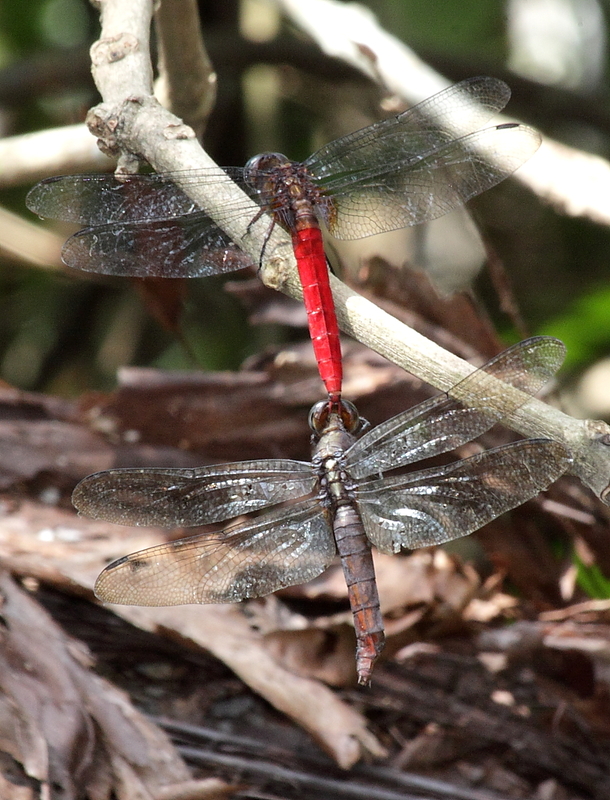 Both males and females developed various colour forms from very young to adult maturity. 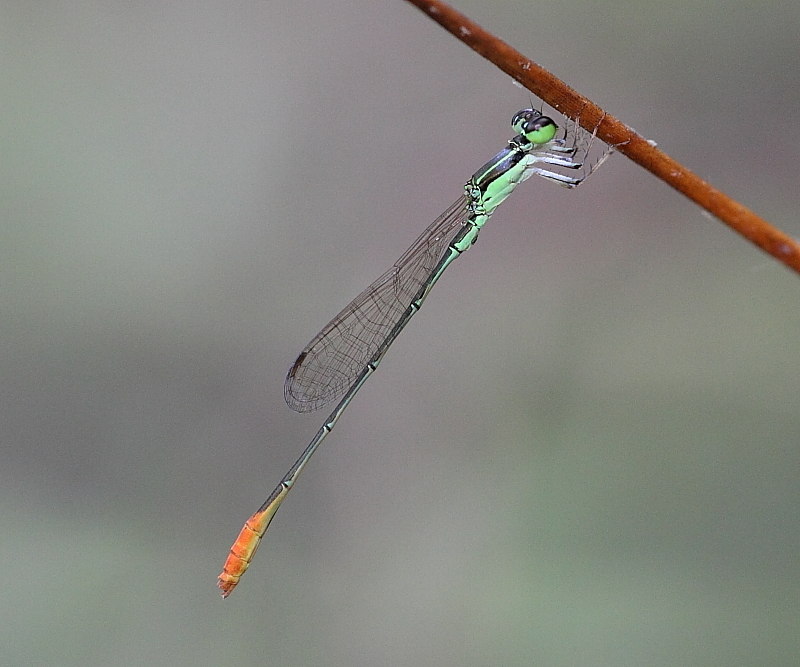 Young males are green with black strips on the dorsum and orange tips. 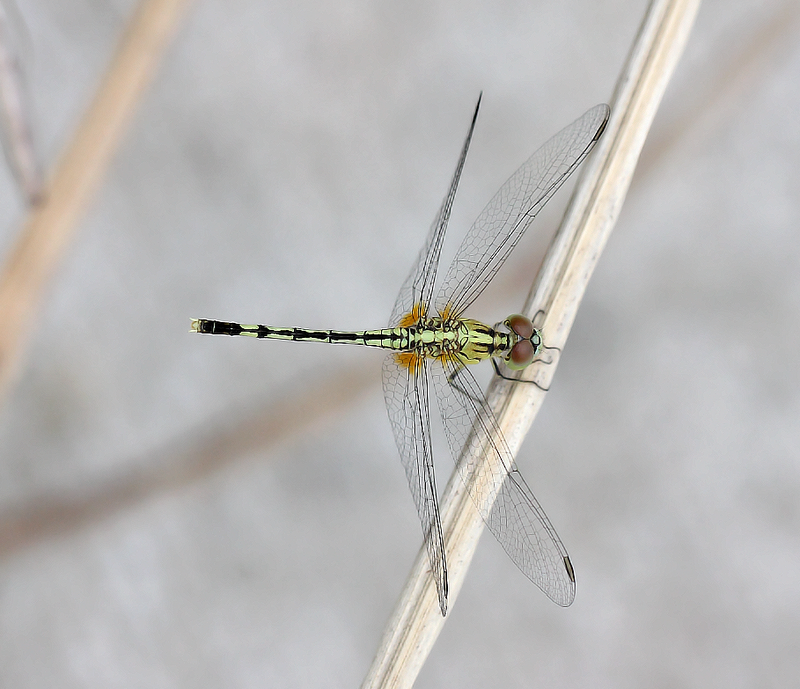 Older males developed pruinosed white to it’s thorax. 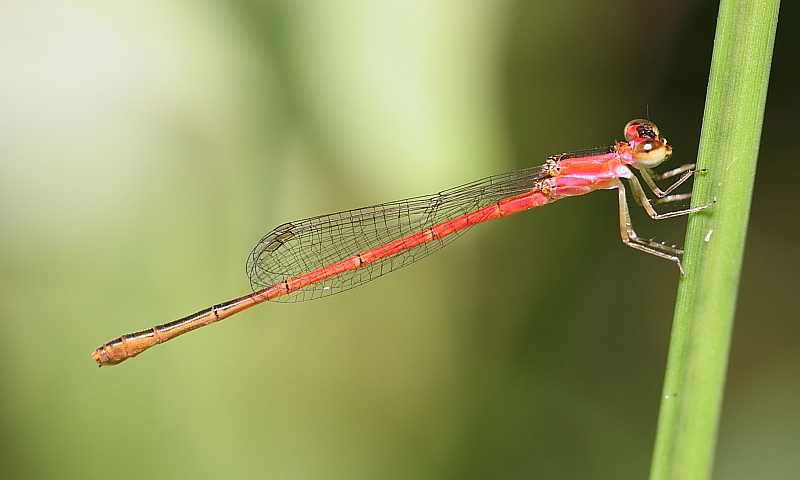 In males, the inferior appendages is longer than the superior appendages, a distinguishing feature of this species. 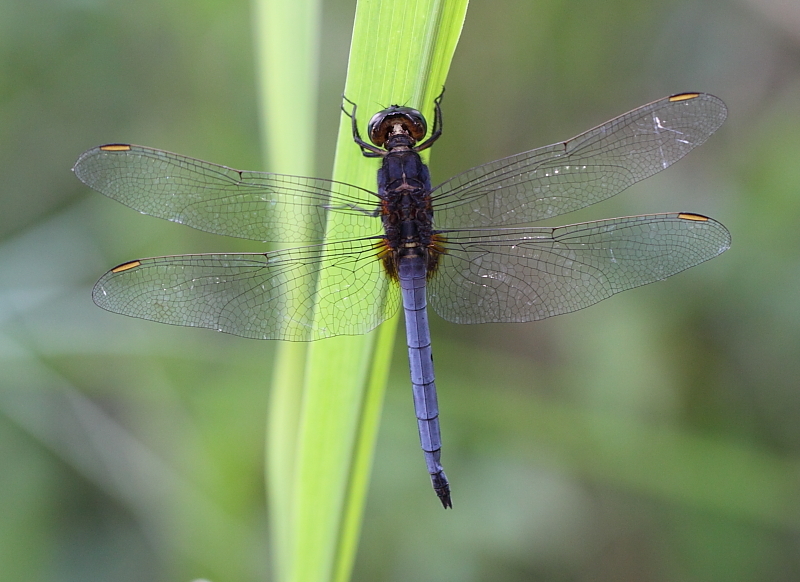 Slightly matured male with slight pruinosed white on it’s thorax. 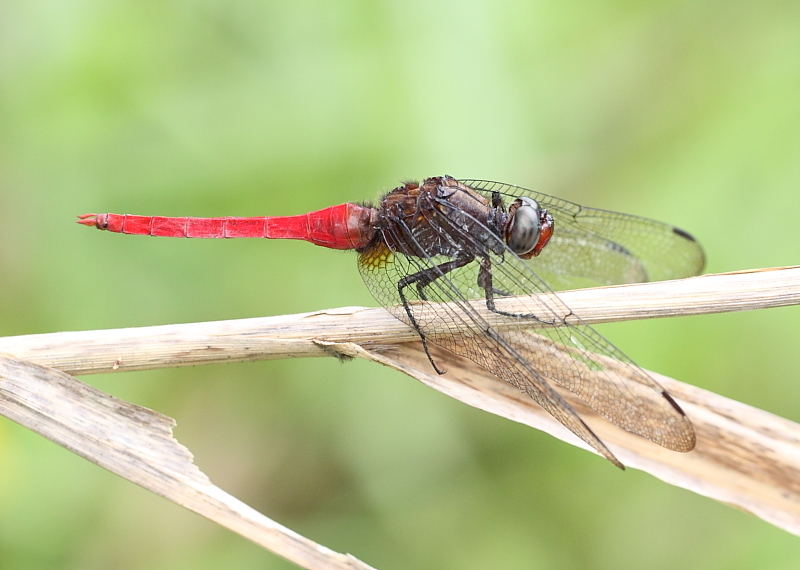 Older male with more extensive pruinosed white and darker red on it’s abdominal tips. 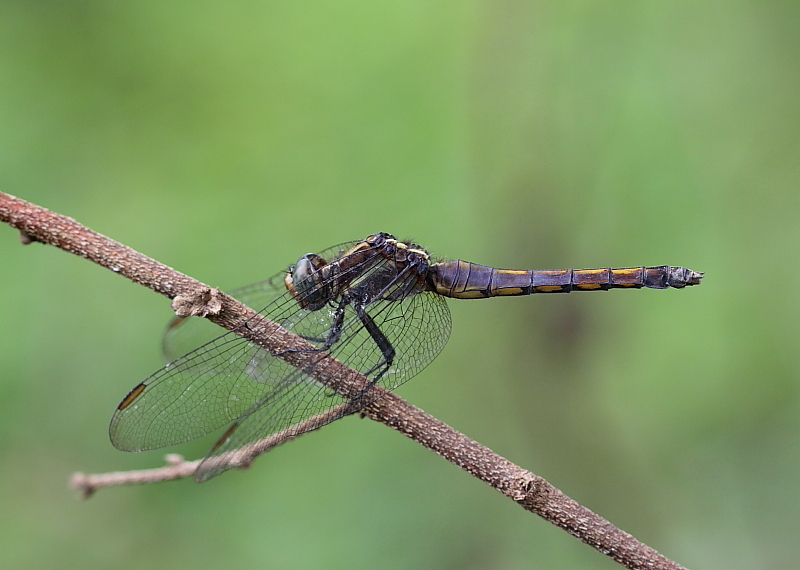 Older male – the last few segments on the abdominal turned to darker black. 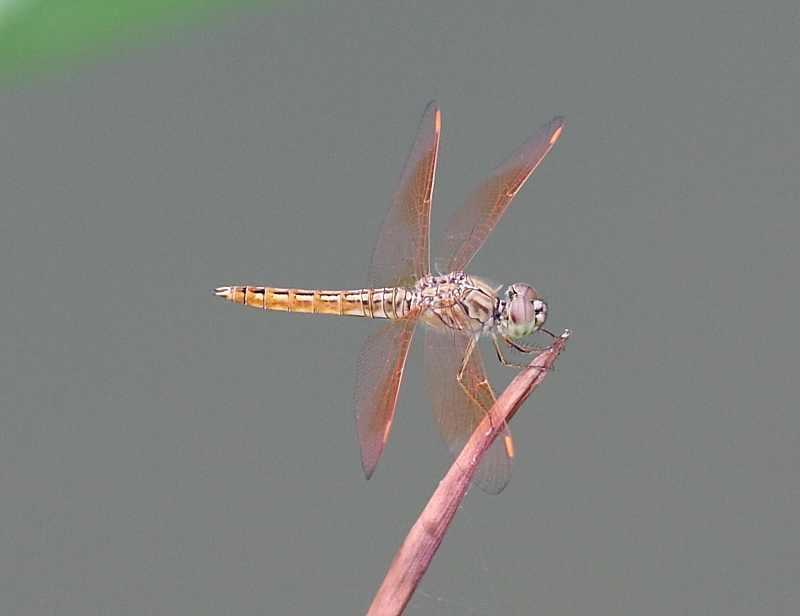 Very old pruinosed white male. 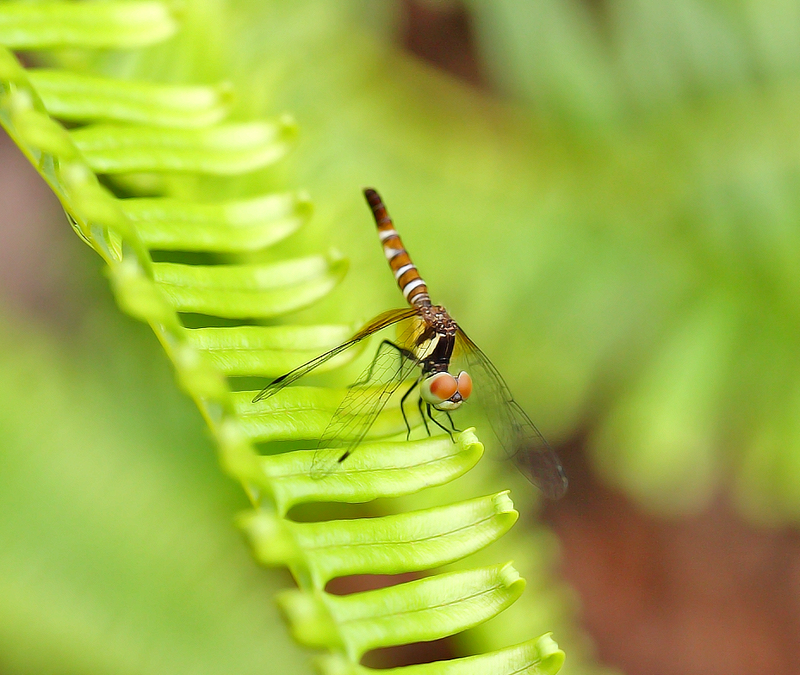 Young females are cherry red, then develop into bright green with light brown on it’s thorax. 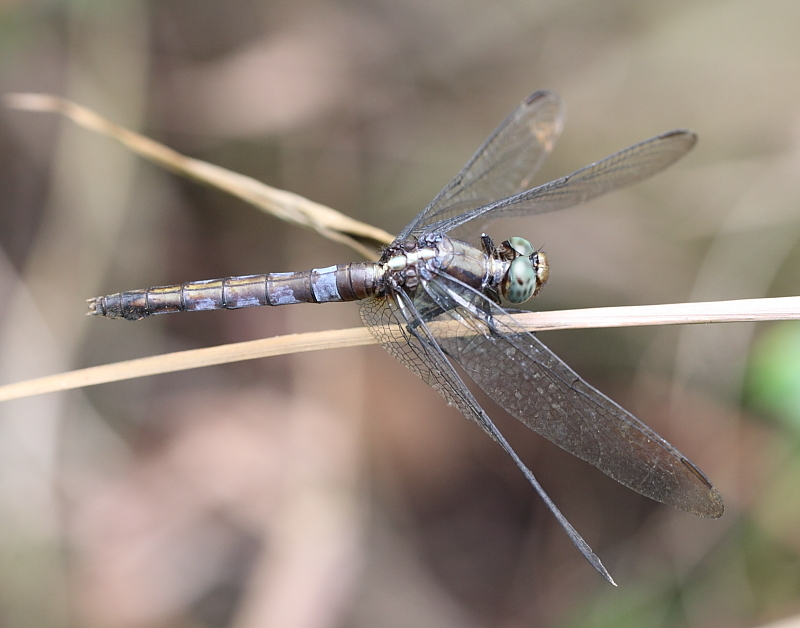 Older females are generally olive with darker brown markings. 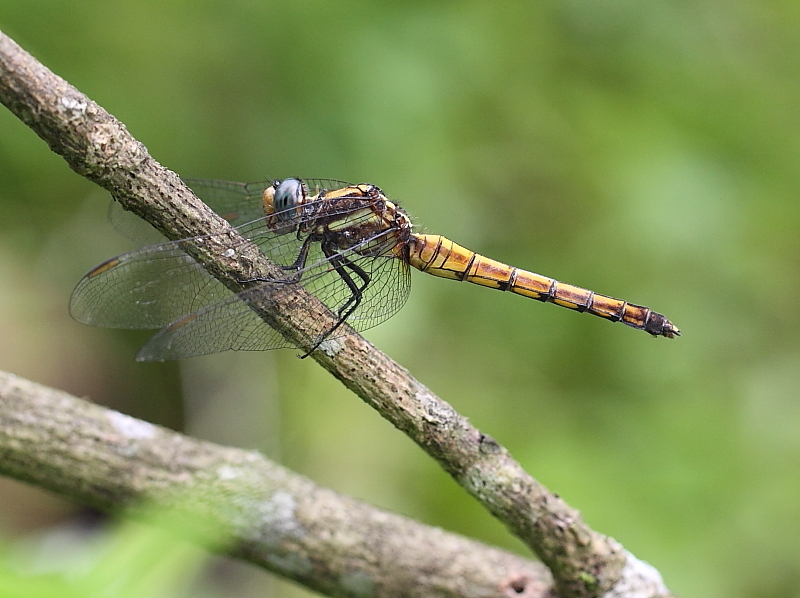 A teneral female taken at Chestnut forest trail. 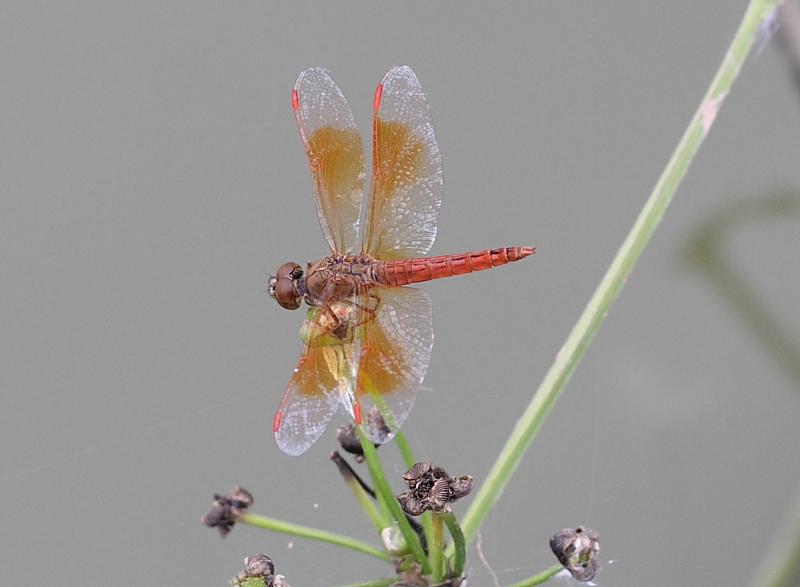 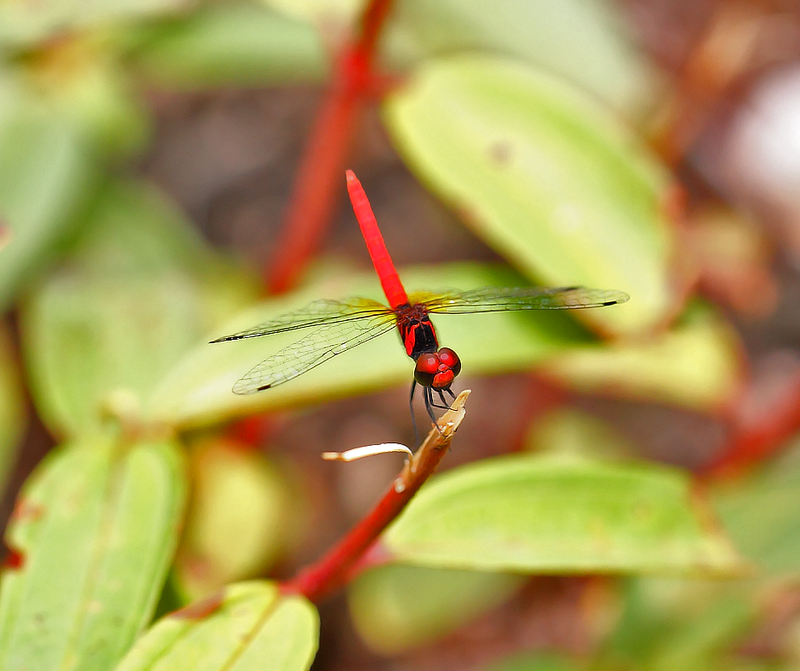 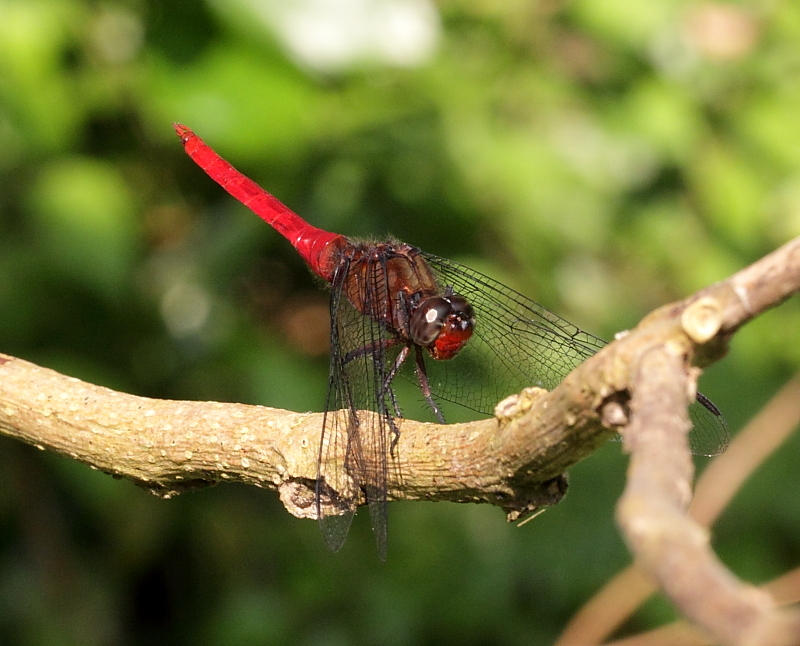 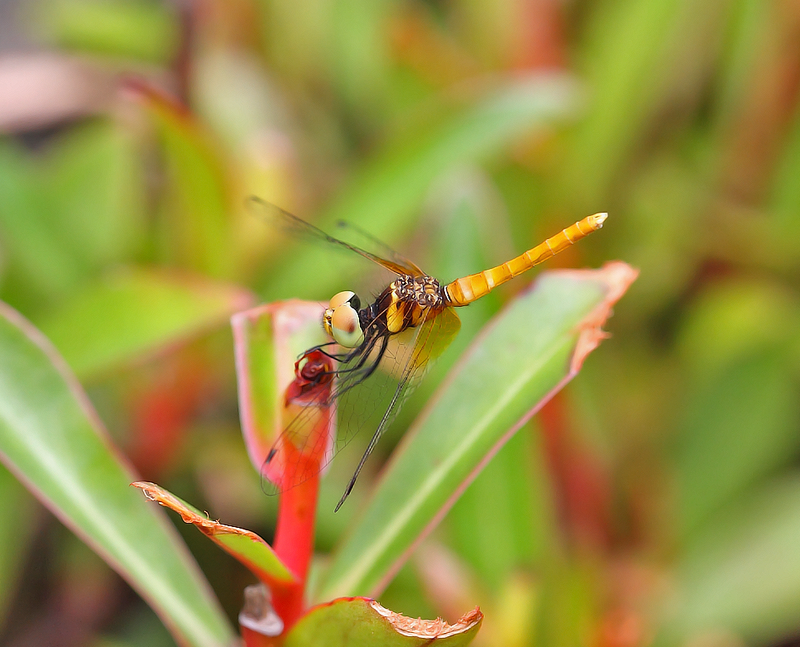 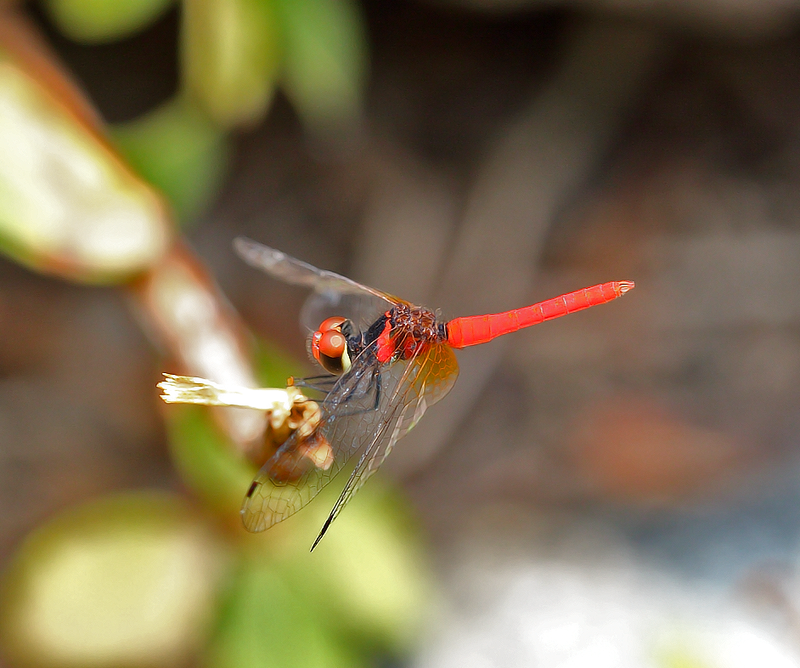 A cherry red immatured female – taken at Toa Payoh Town Park. 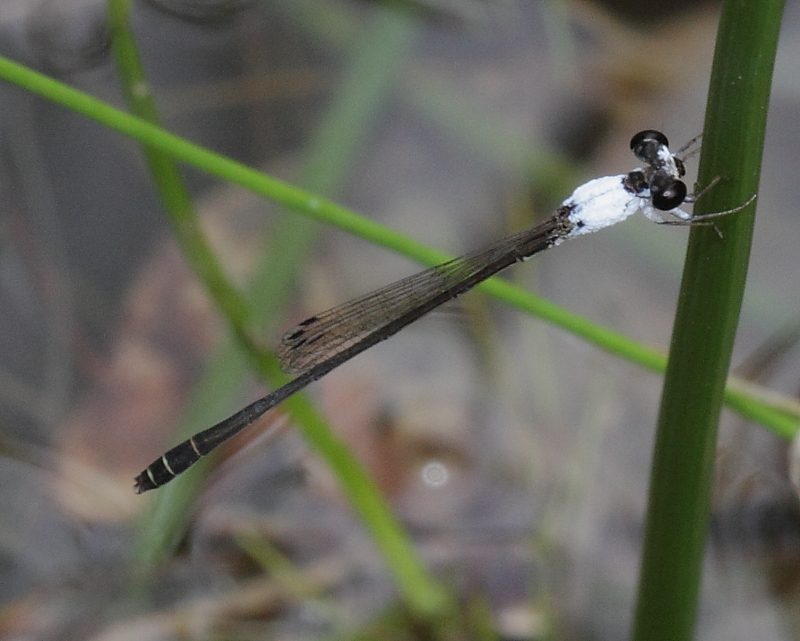 Matured female. 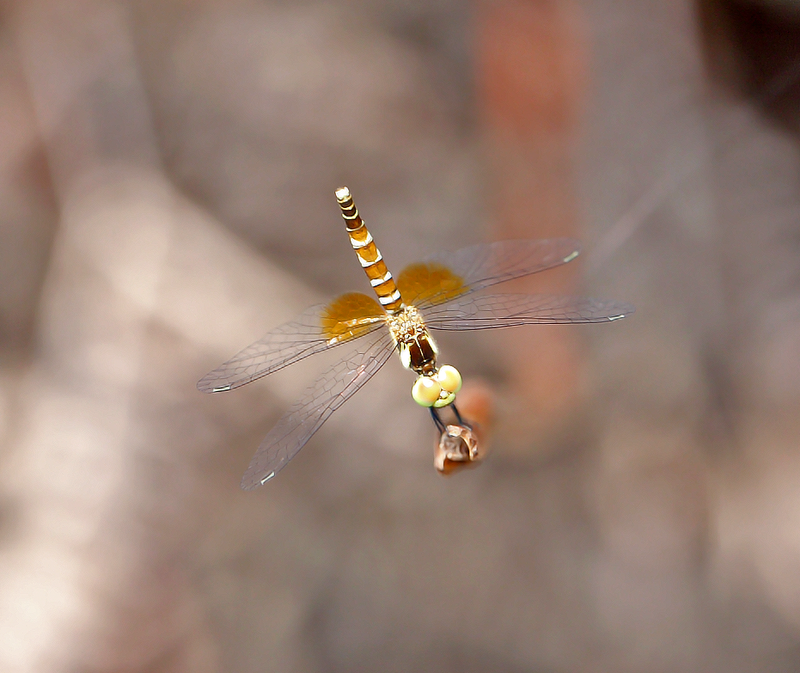 Females also developed pruinosed on it’s thorax. 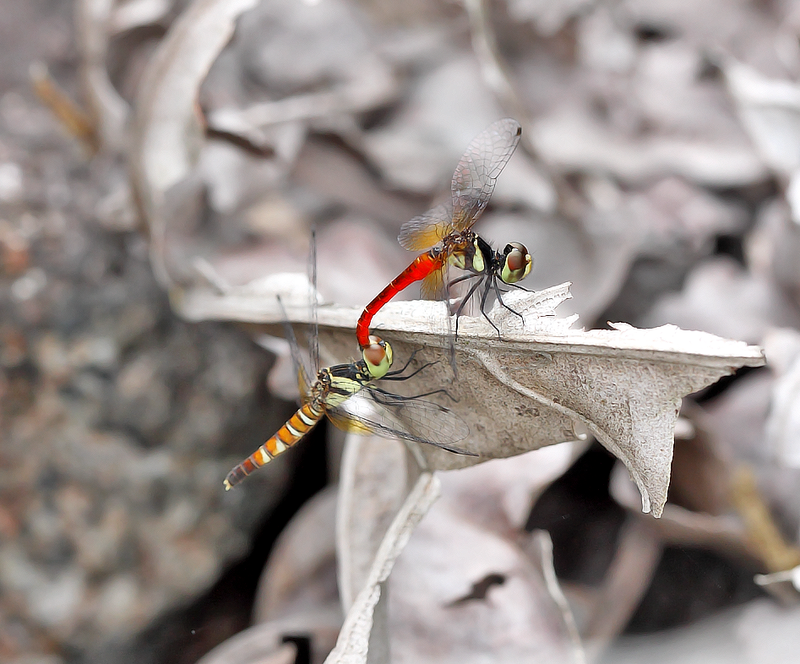 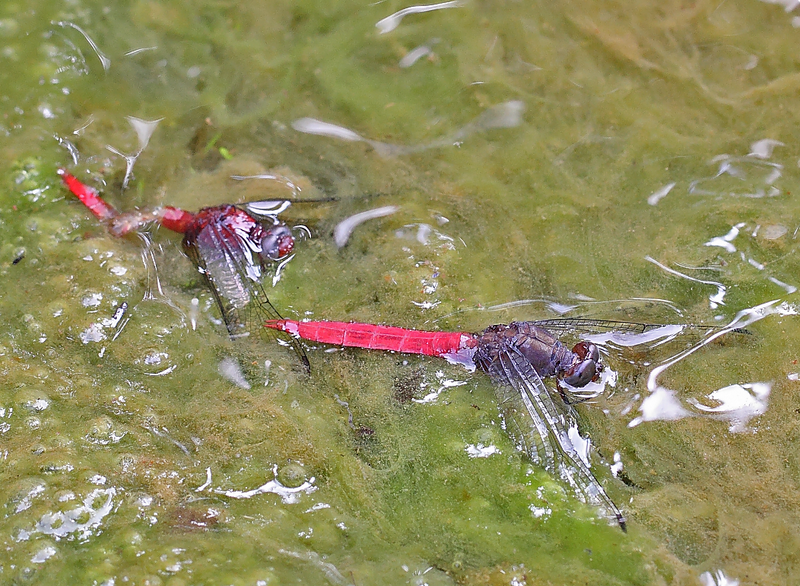 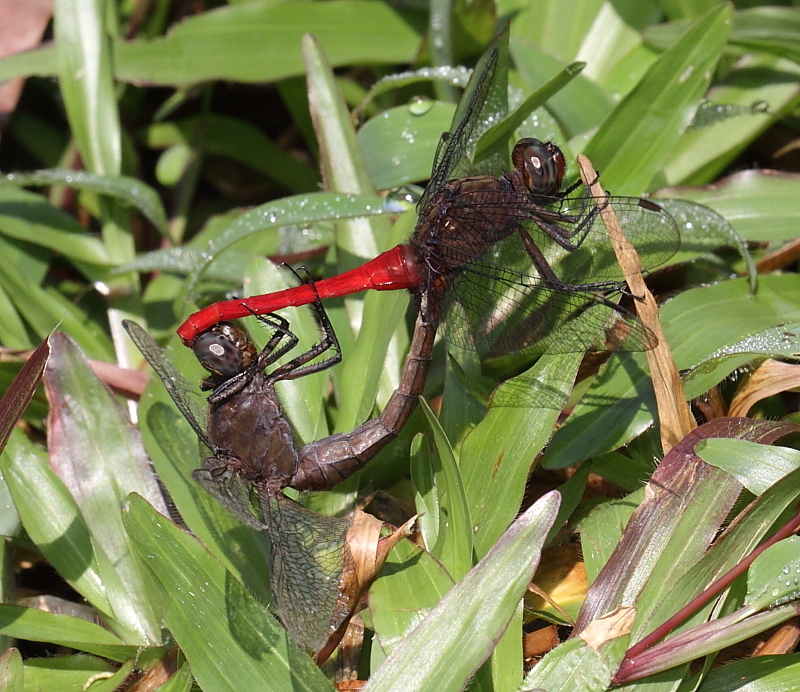 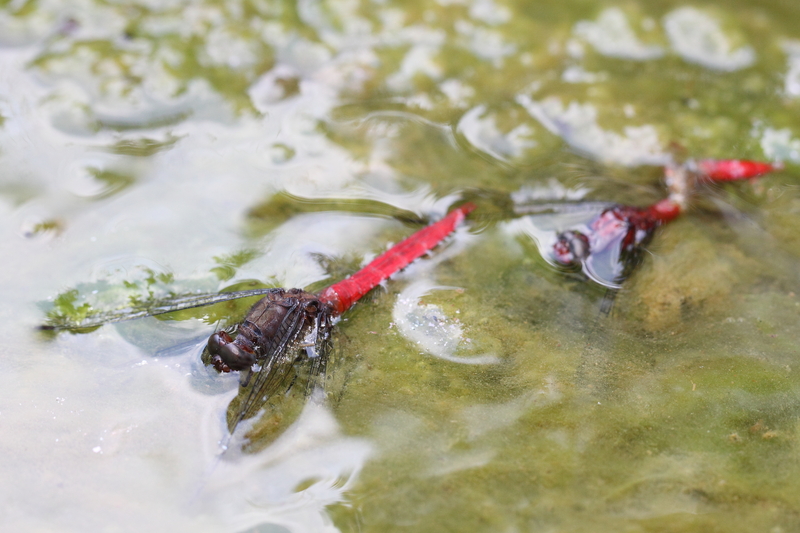 A mating pair, taken at the fresh water pond at Sungei Buloh Nature Reserve. 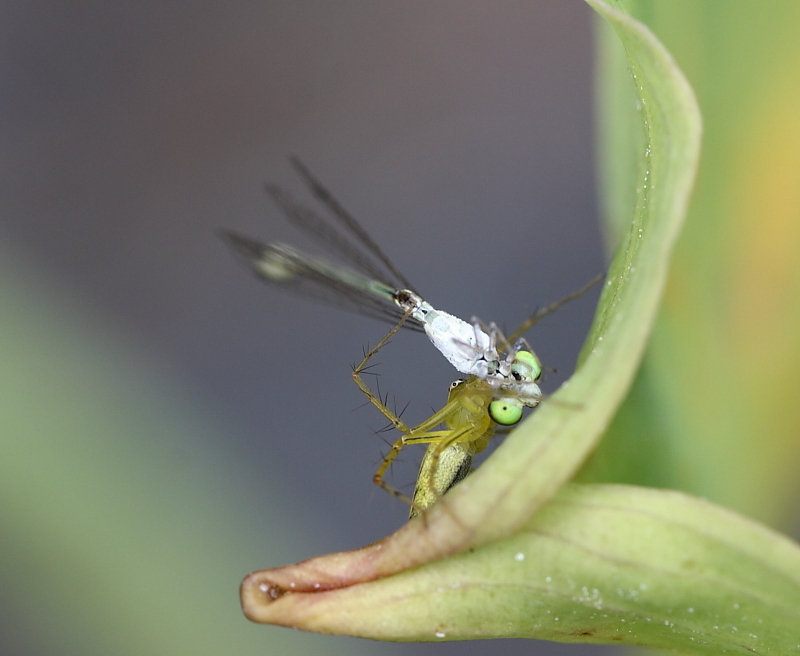 A matured male fall prey to a lynx spider. 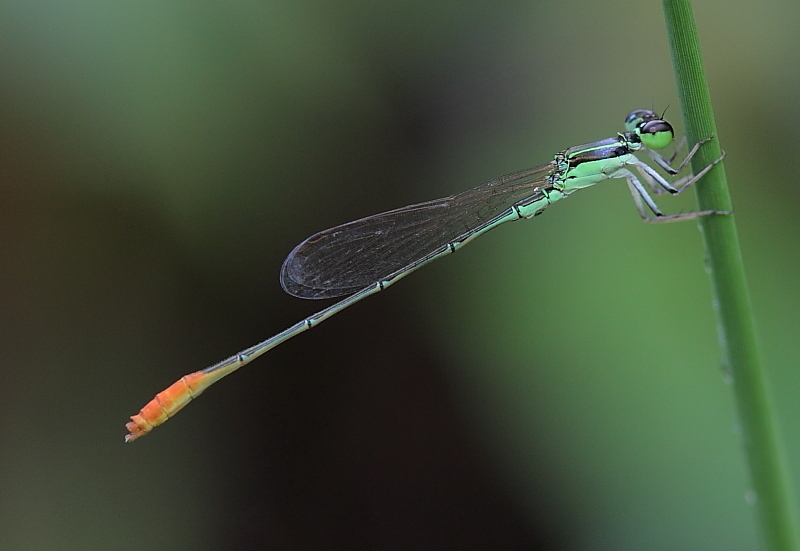 A. femina is one of the most abundant Agriocnemis species that occurred in Singapore. 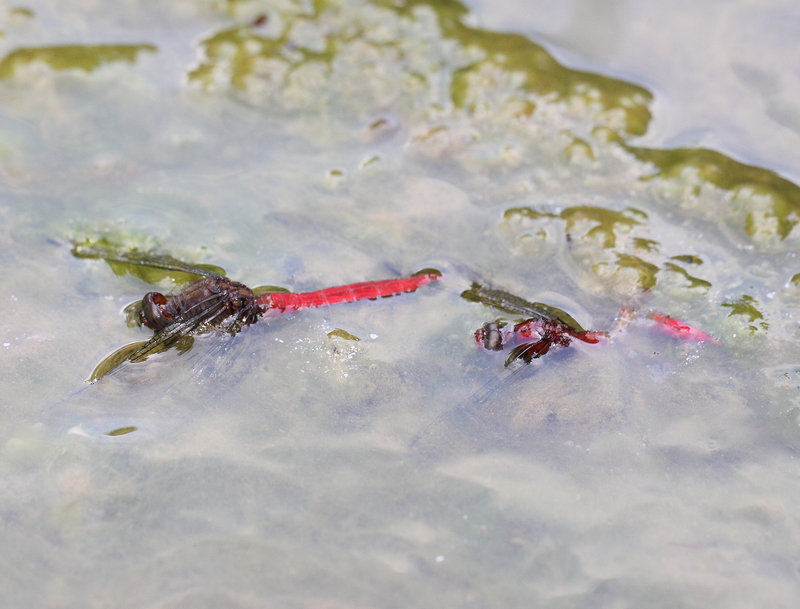 The other two species are A.nana, and A. pygmaea. 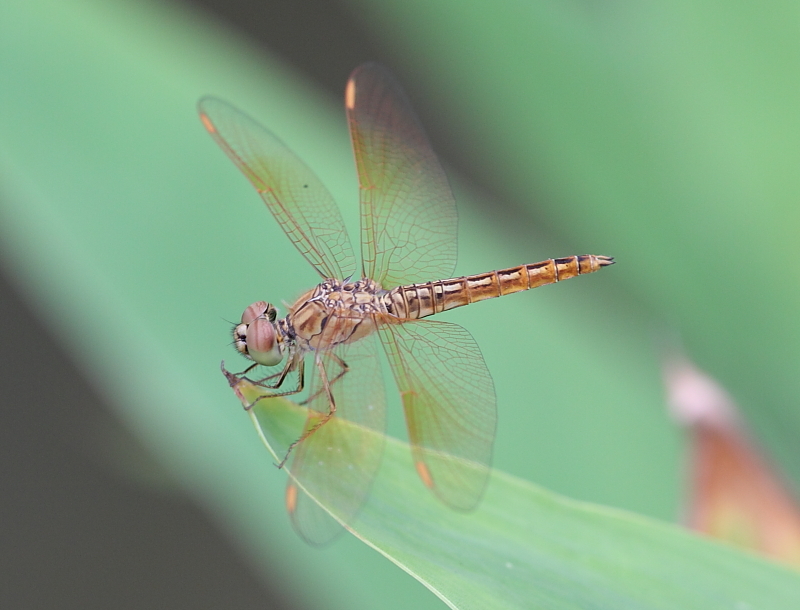 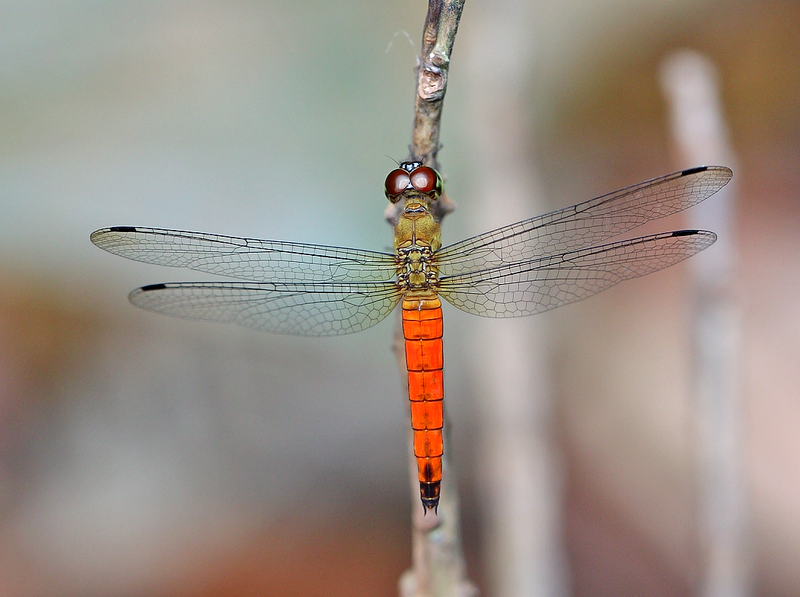 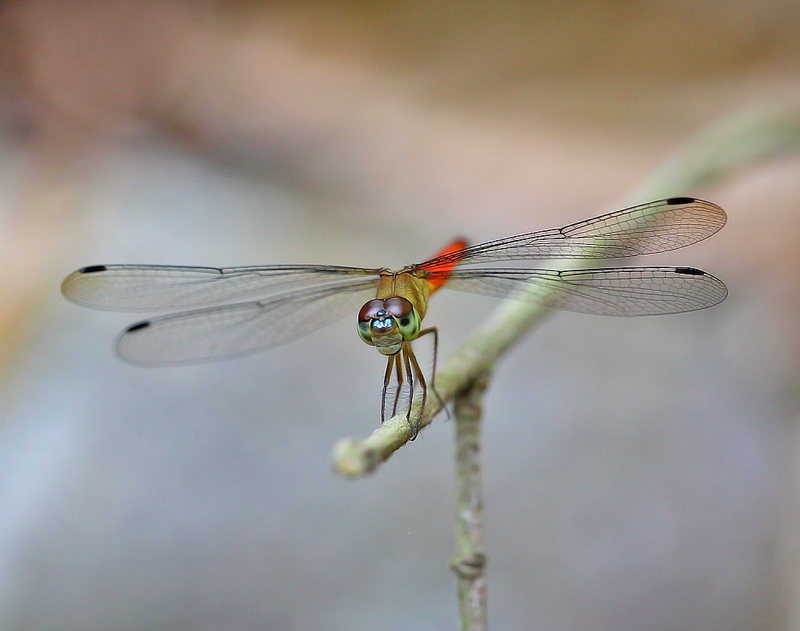 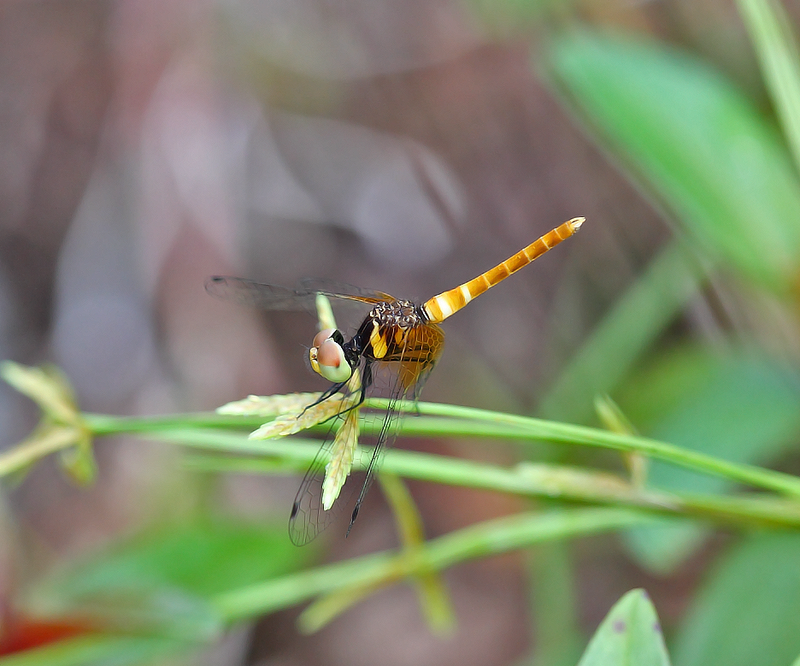 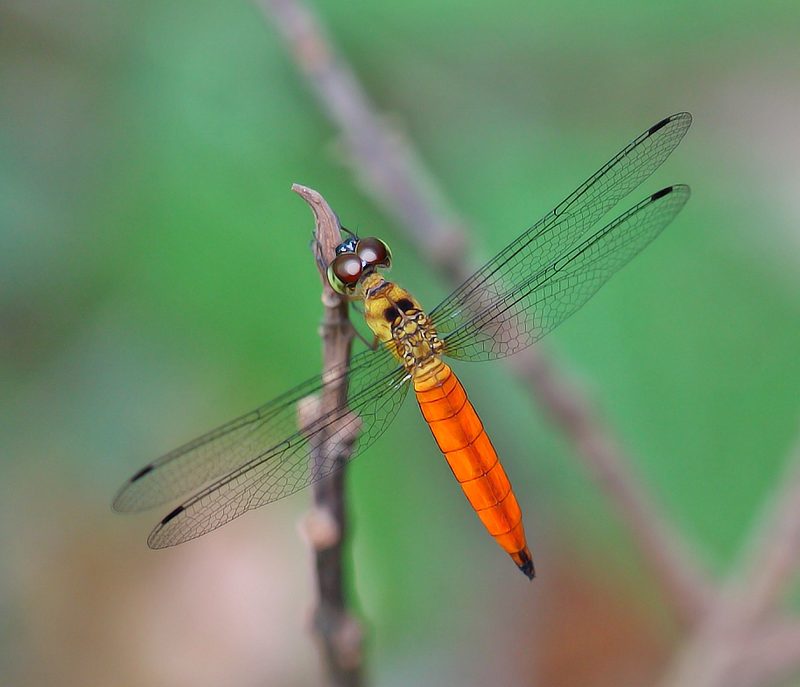 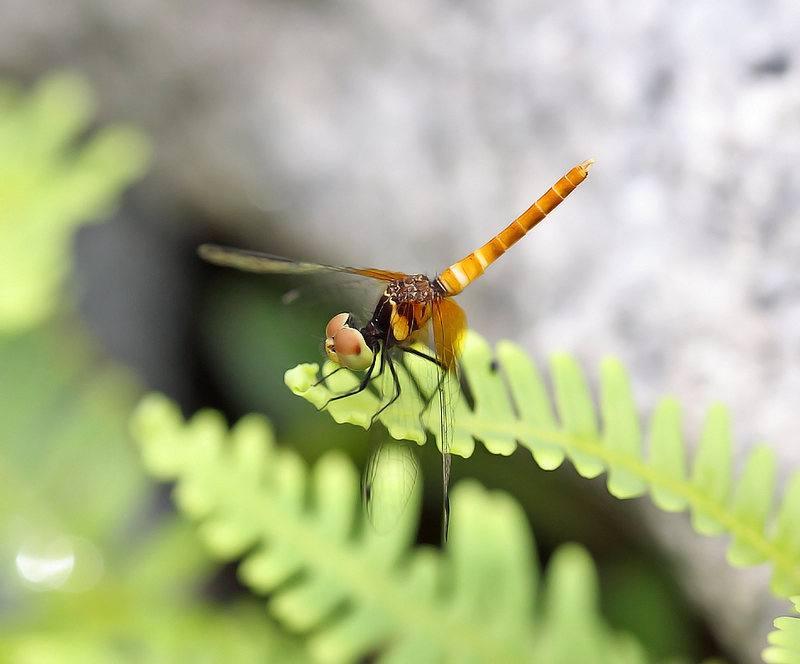 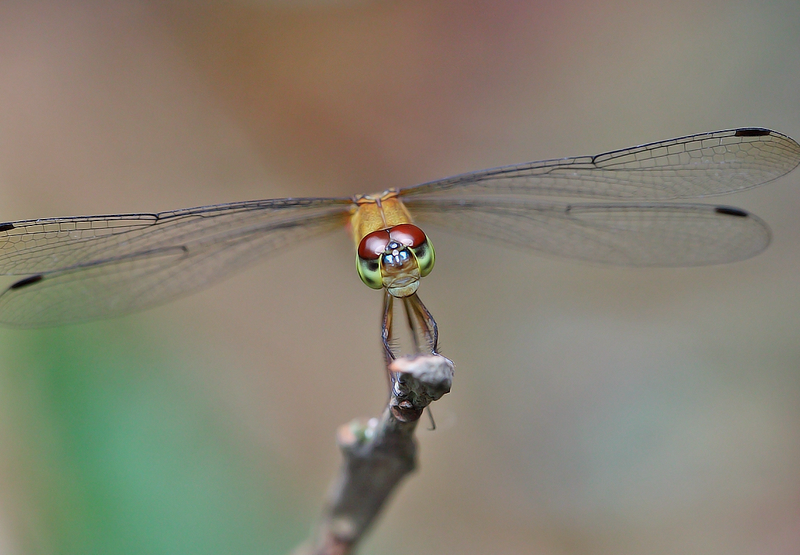 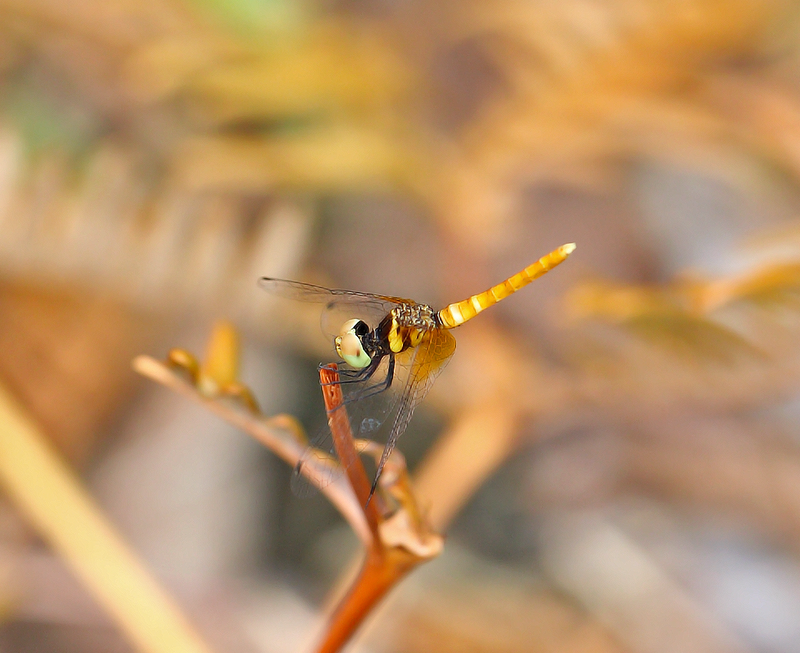 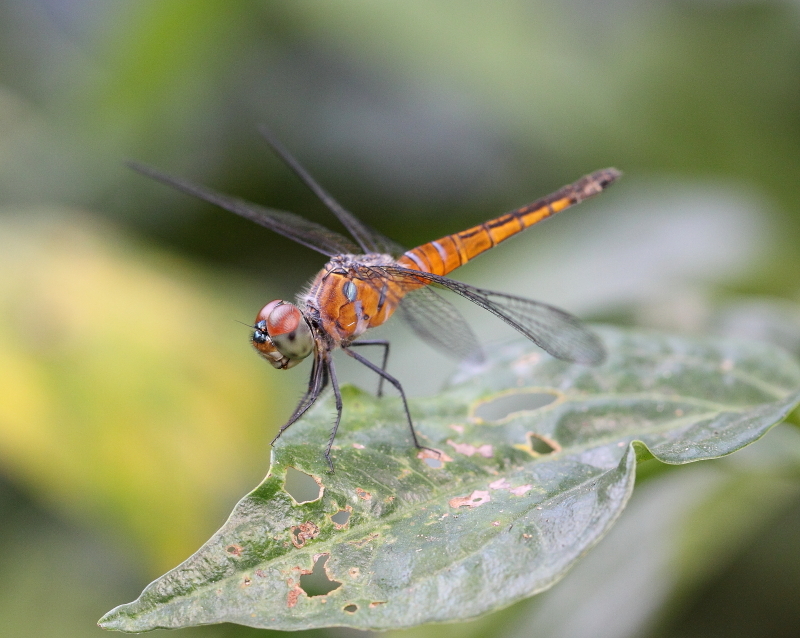 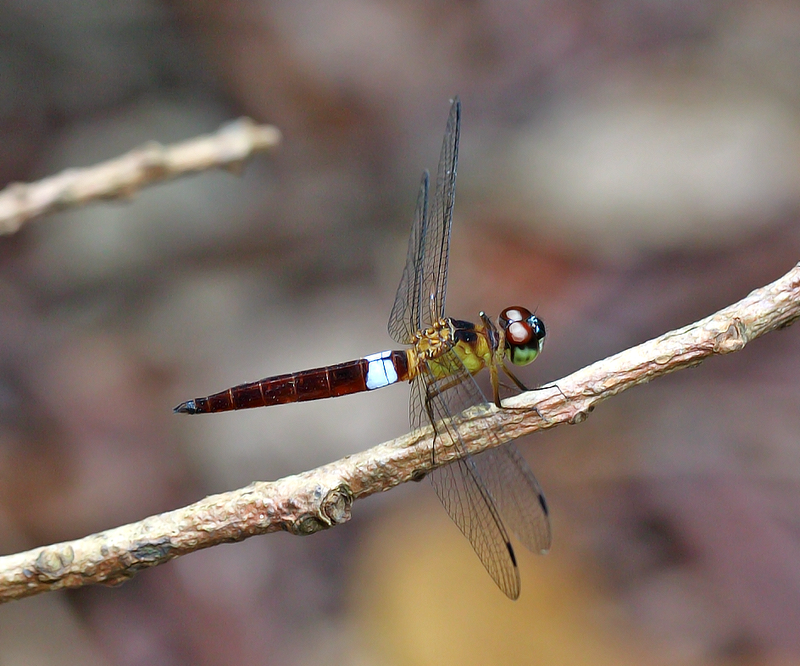 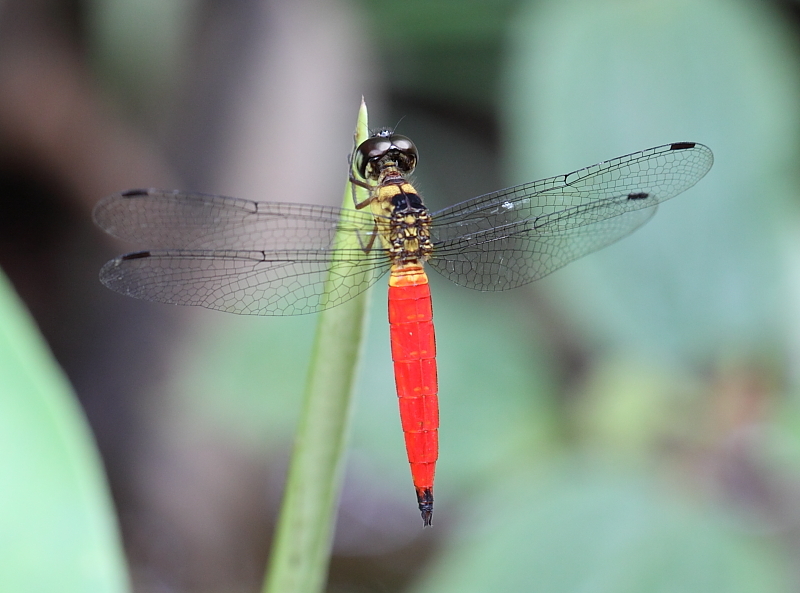 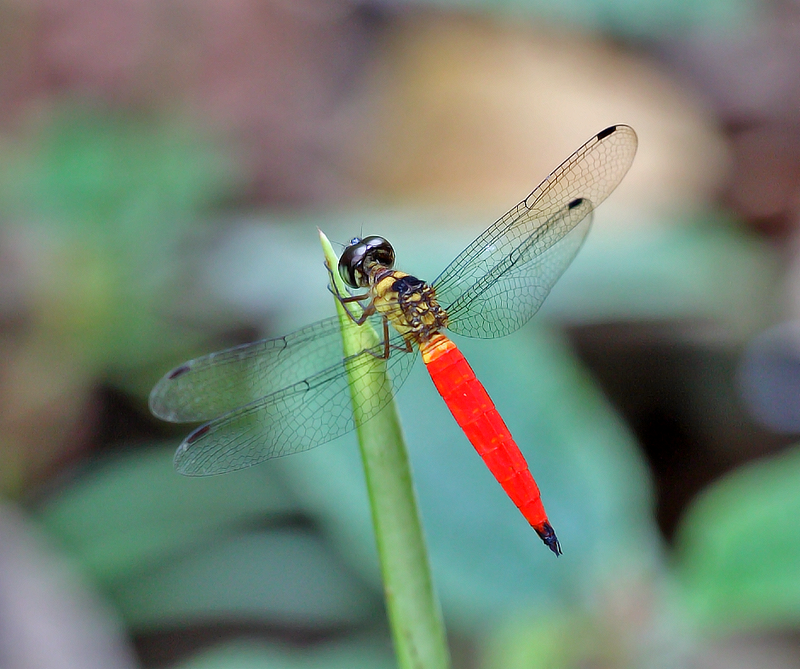 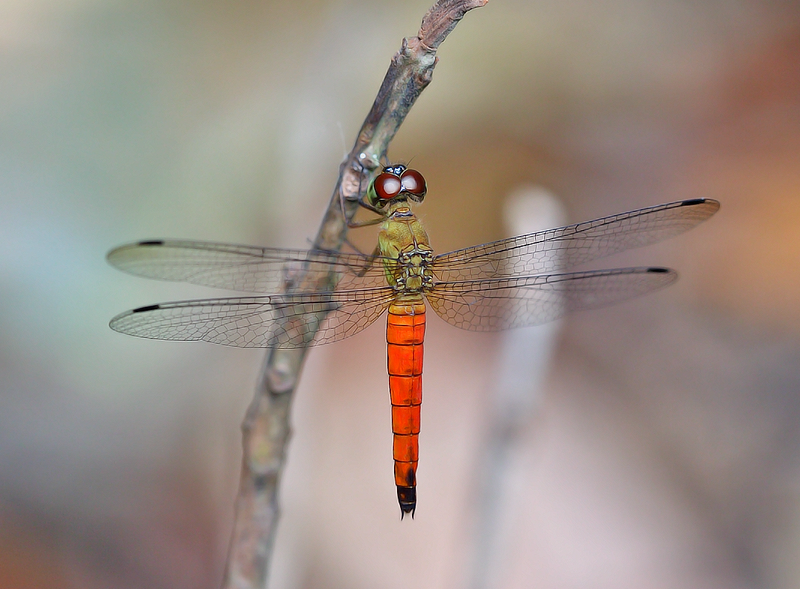 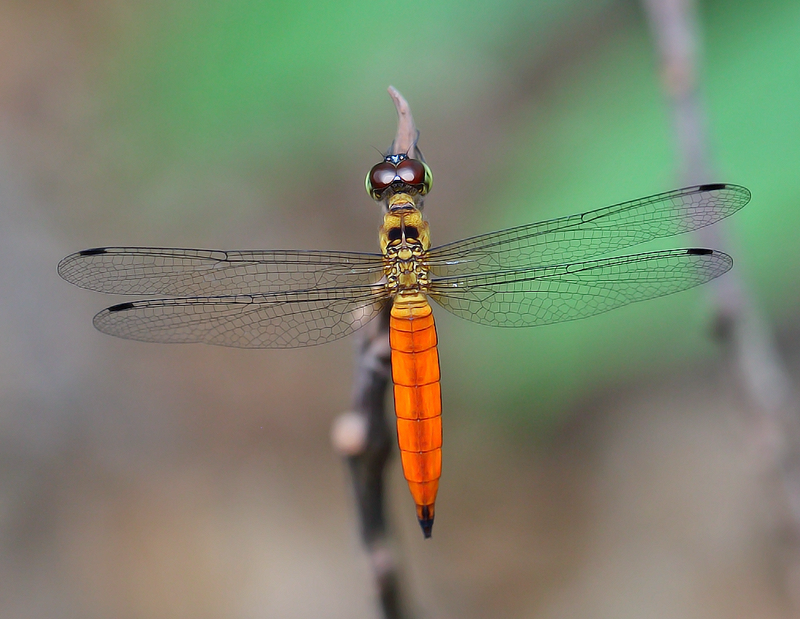 Brachydilpax Chalybea is a relatively small dragonfly from the family of Libellulidae, a species which is very common and wide spread in Singapore. 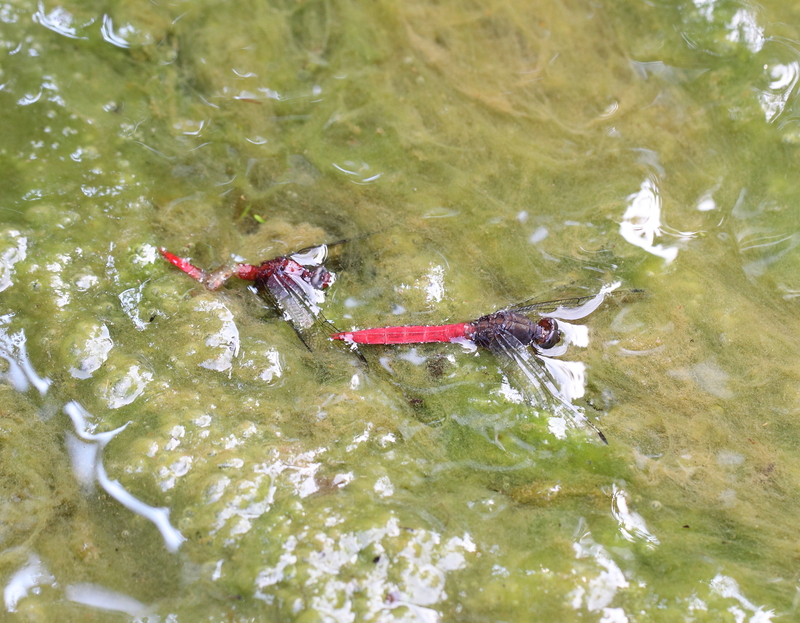 It usually inhibits ponds, streams, and some disturbed areas outside the nature reserves. 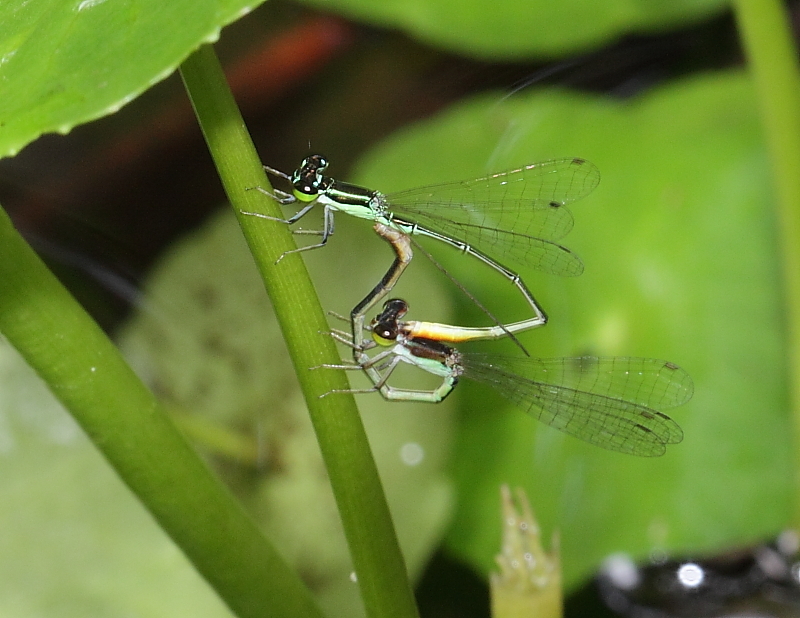 Female is less common and may appear only when mating. 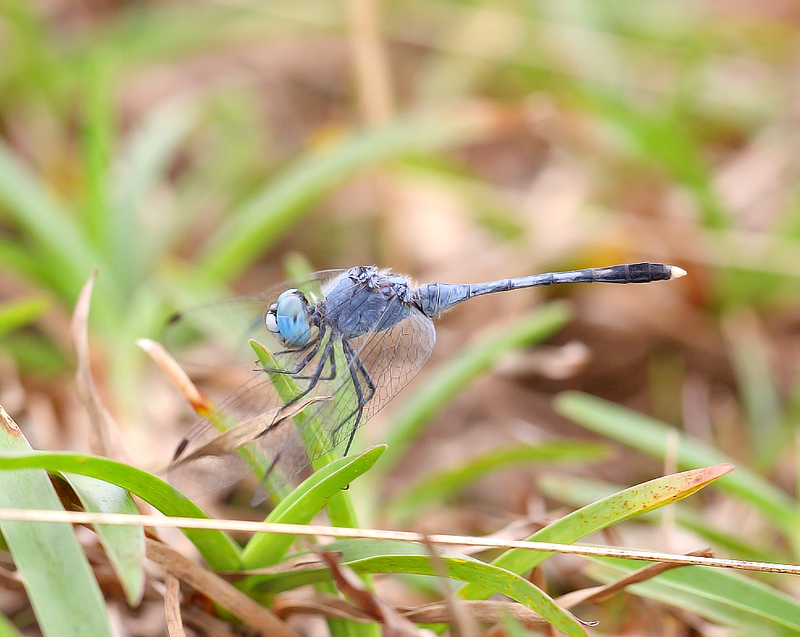 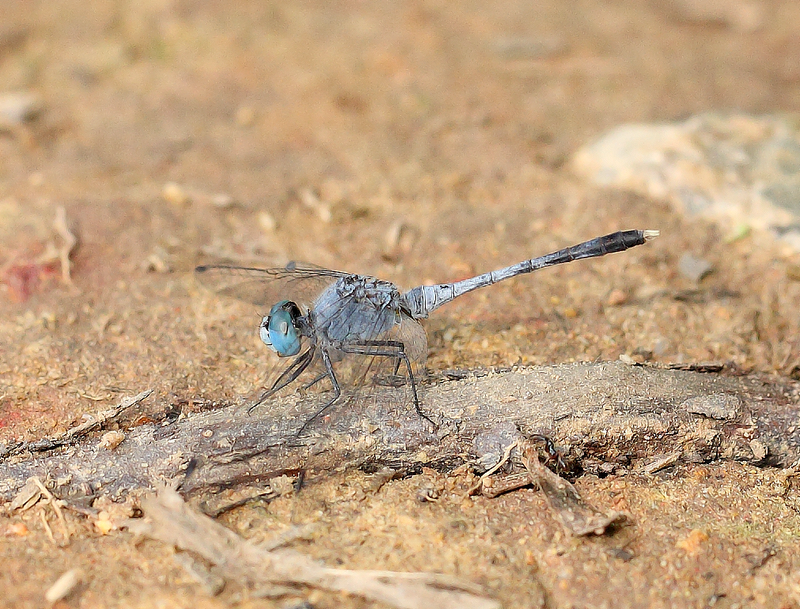 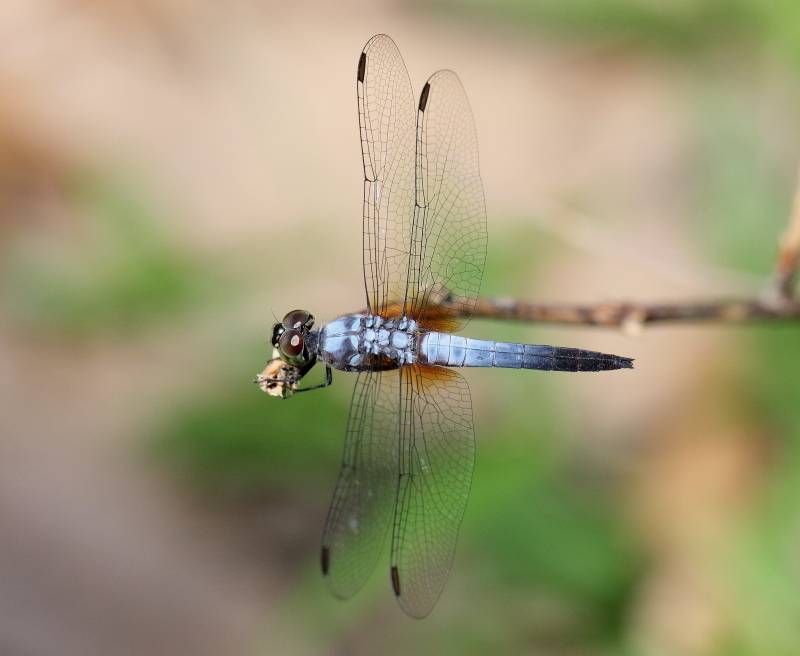 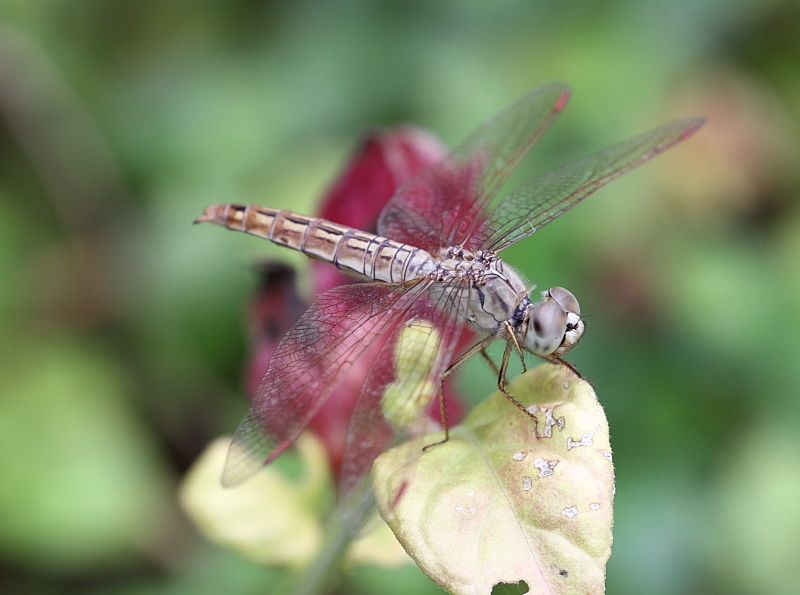 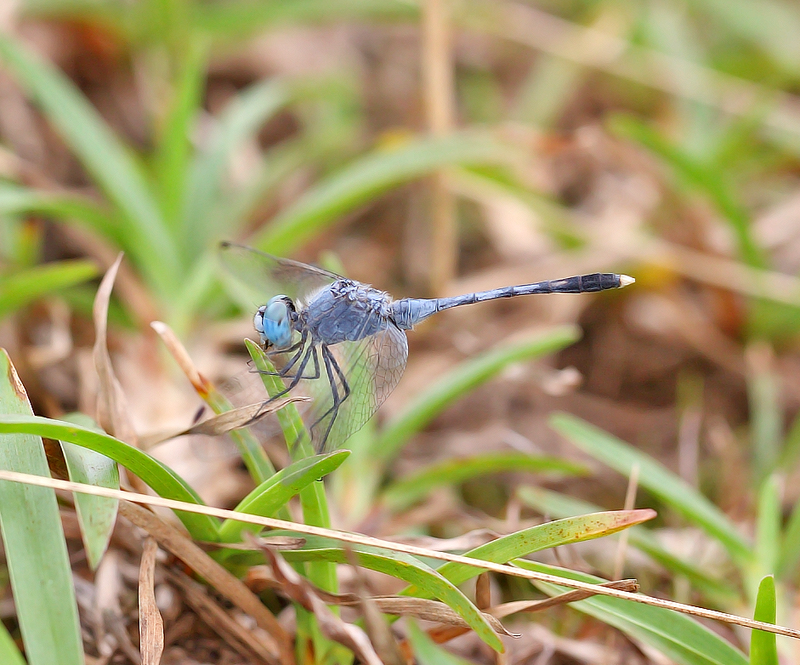 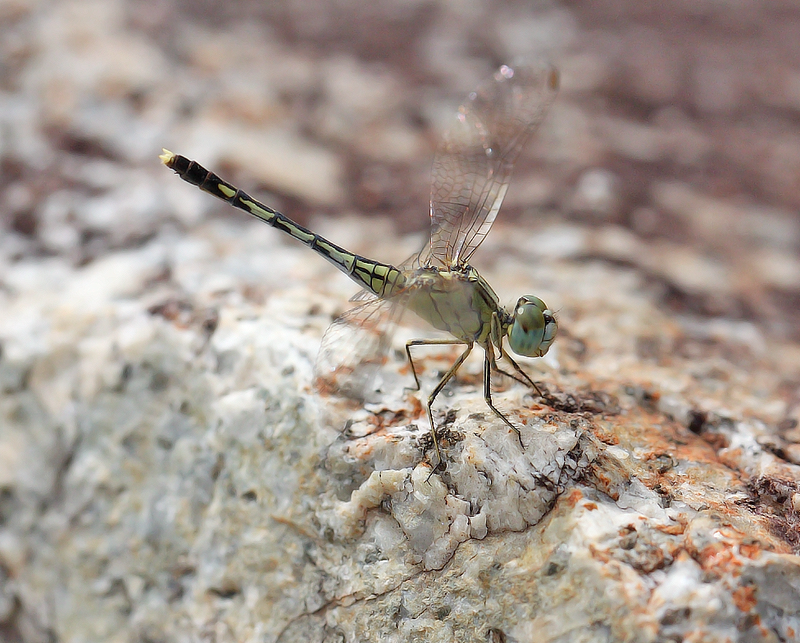 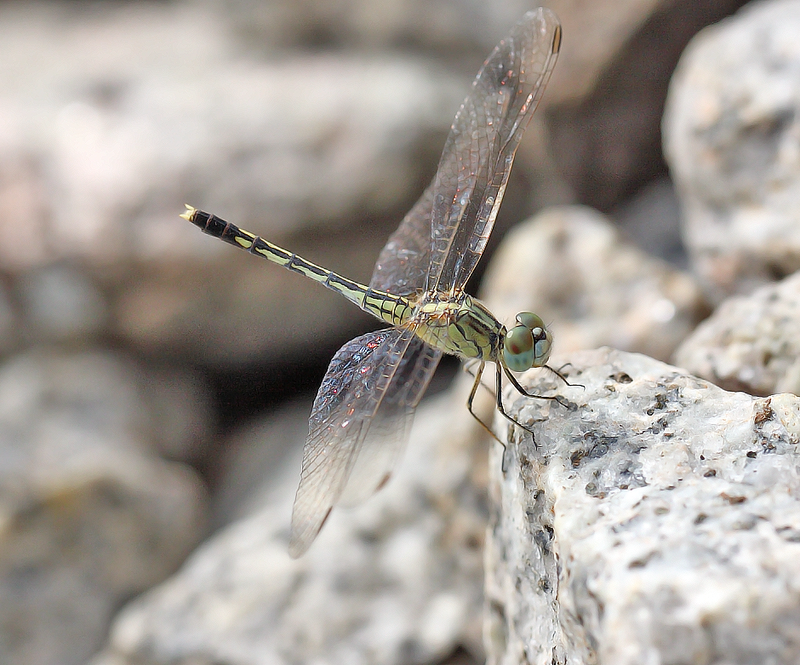 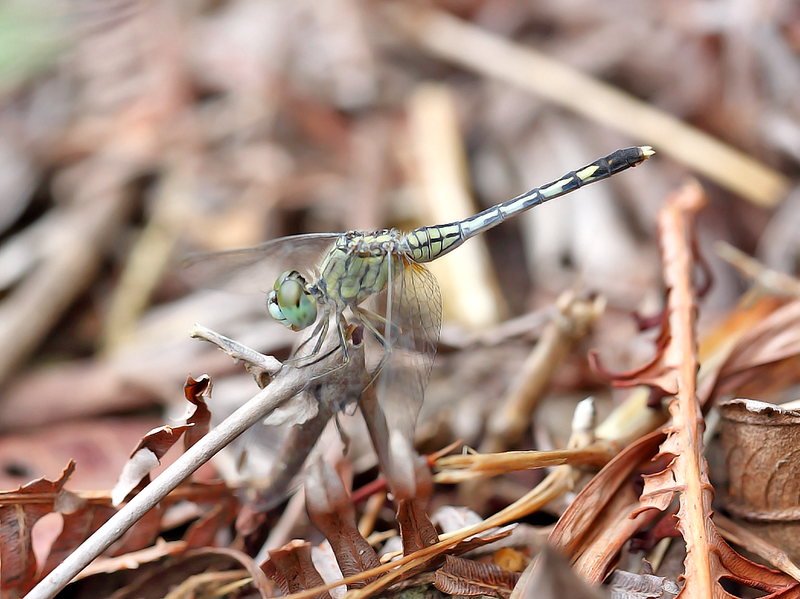 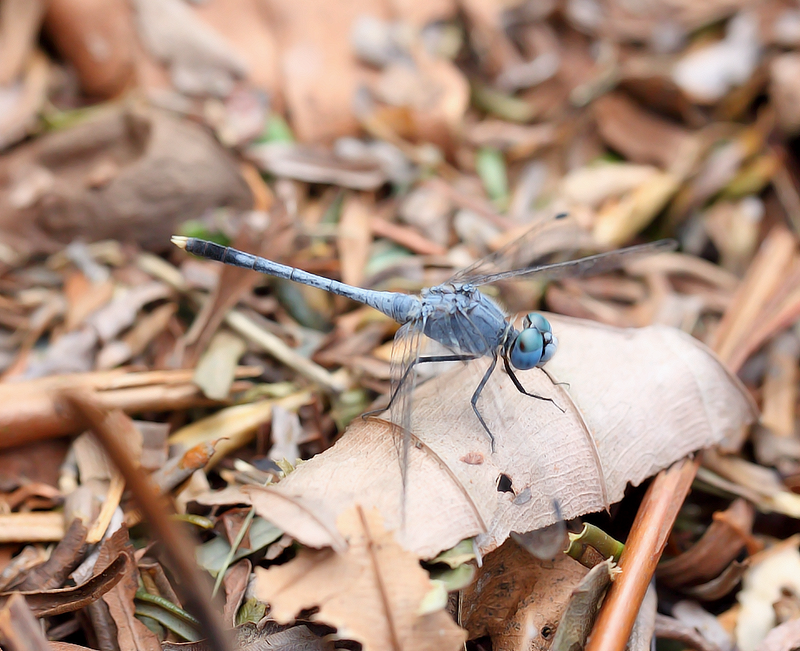 The male of this dragonfly has a powdery blue thorax with light to brown patches. 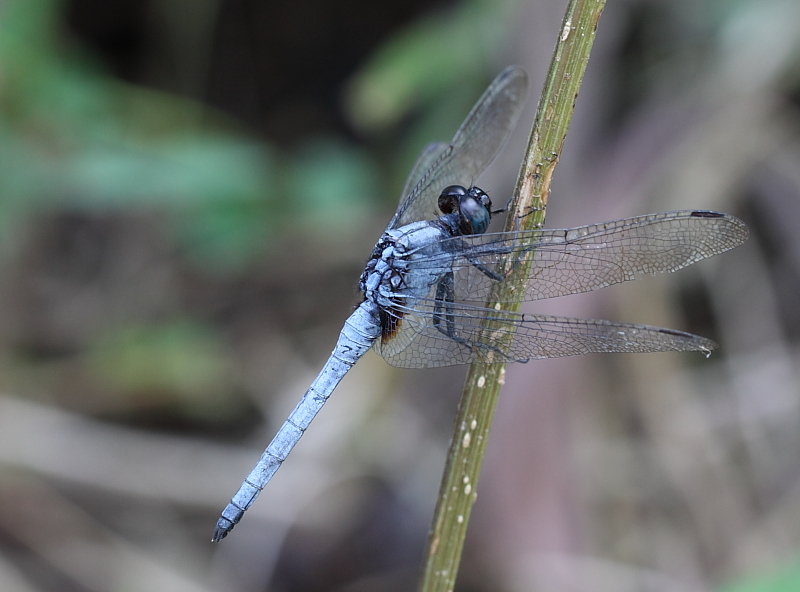 The abdomen is also powdery blue with the last three segments dark in colour. 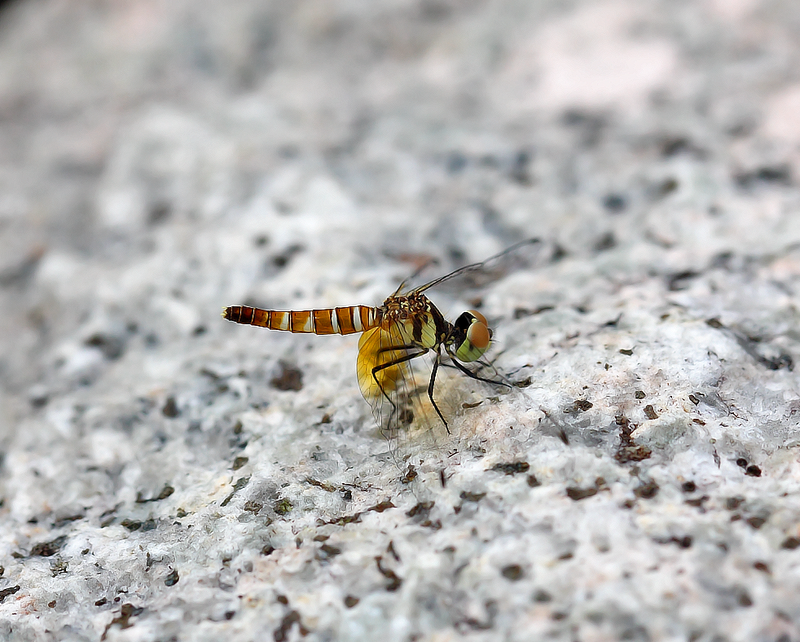 It also has a dark yellowish tint at the base of it’s wings. 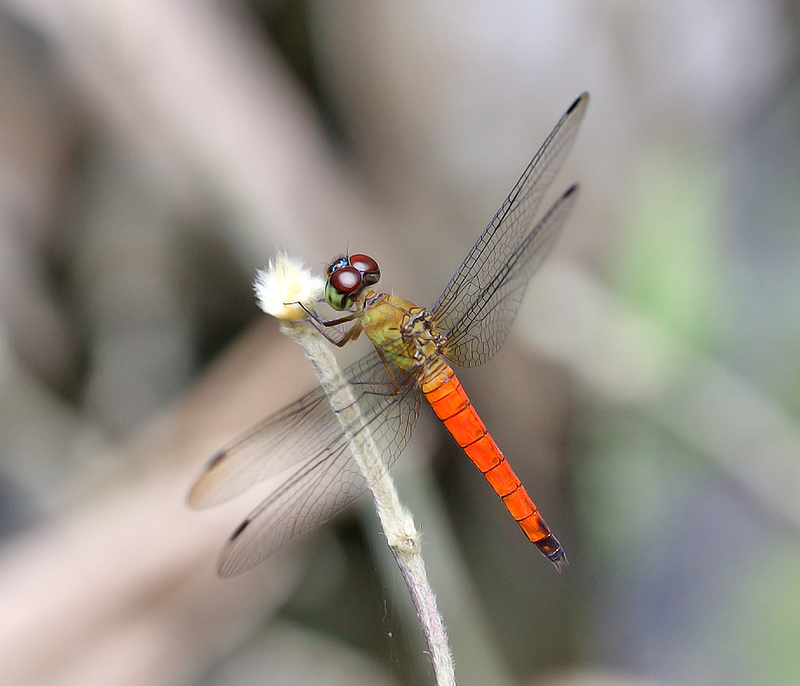 Female is generally similar in size but has more orangey body and dark markings along the dorsum of the abdomen. 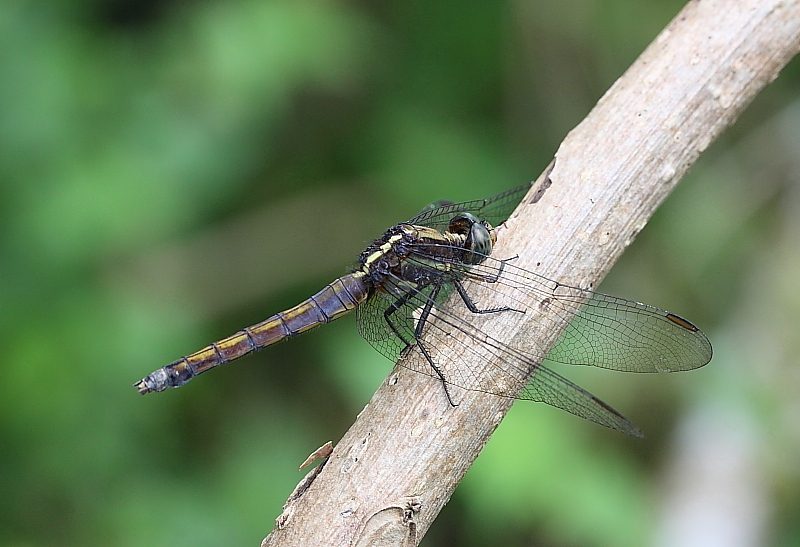 Unlike male, female has clear wing base. 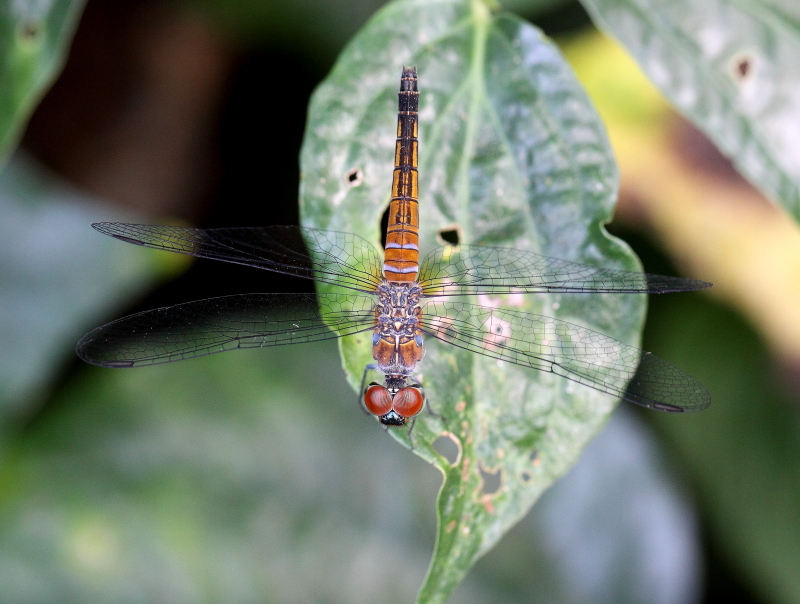 Males are often territorial and are very active in the morning and early afternoon. 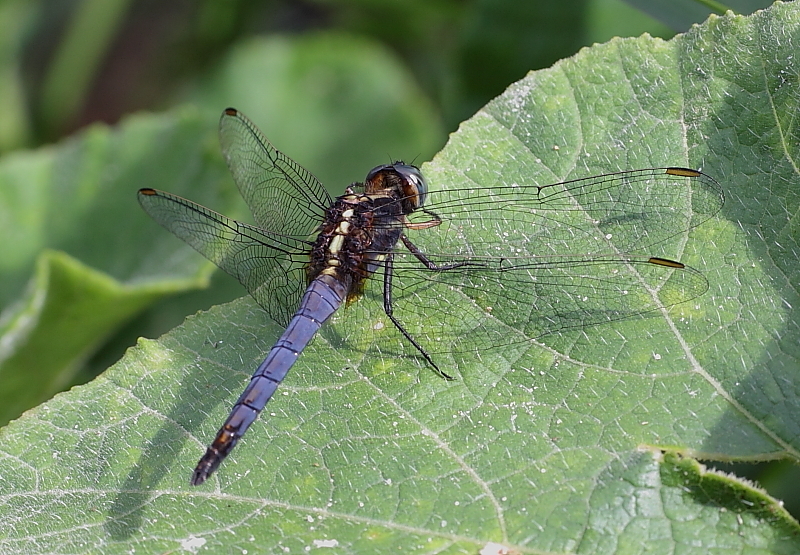 This species is very similar to Aethriamanta gracilis, but the latter species is smaller in size and has a wider wing venation. 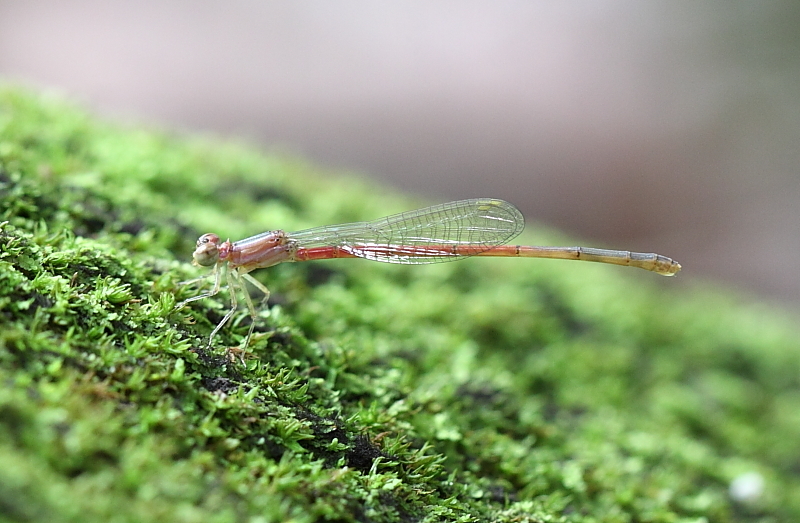 It is also quite similar to Raphismia bispina, which is rare in Singapore and inhabits only at mangrove swamps. 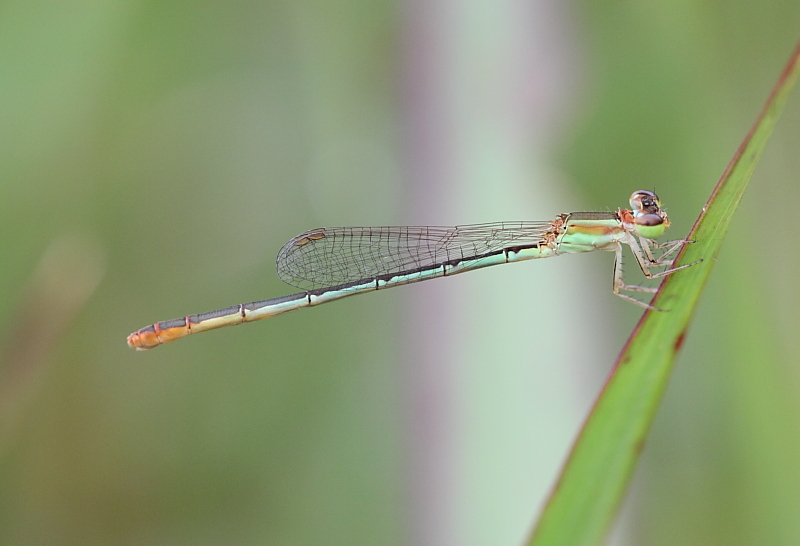 Female of this species is more attractive, and less common. 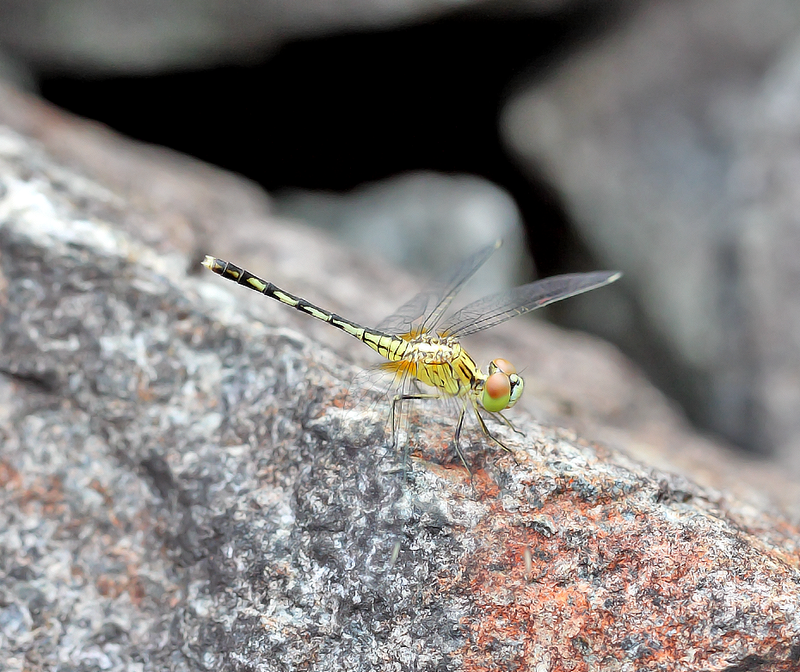 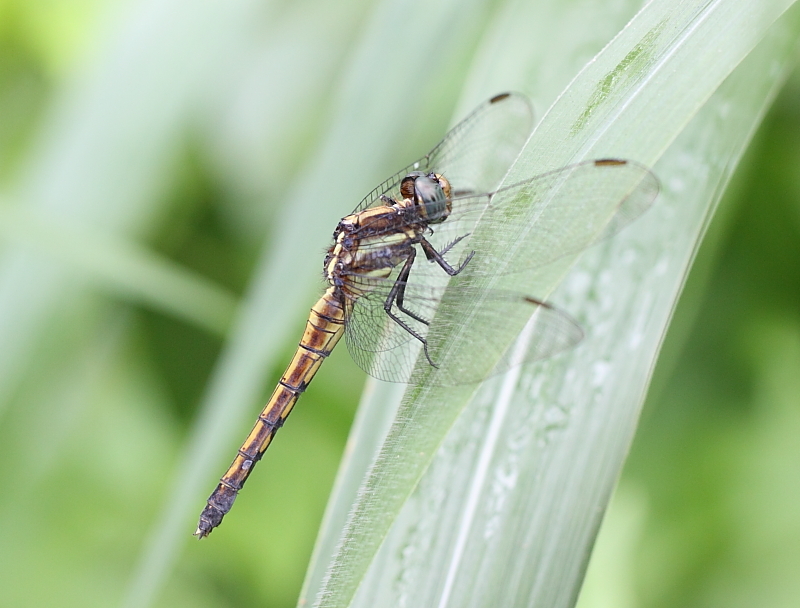 This dragonfly is very common in ponds, drains, in both nature reserves, parks and other disturbed wastelands. 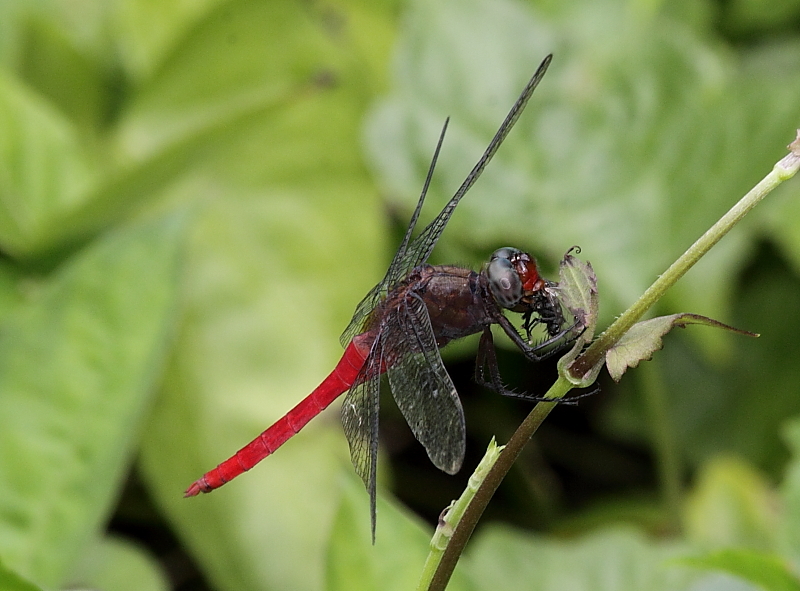 The male’s eyes are dark grey, thorax is dark brown, abdomen is red. 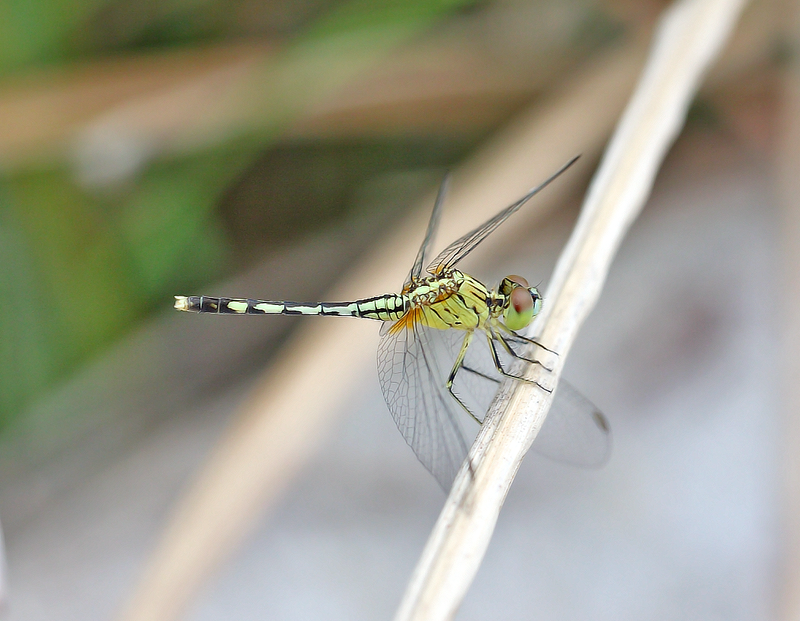 Male has a distinct curved tuft of setae at Segment two of the abdomen. 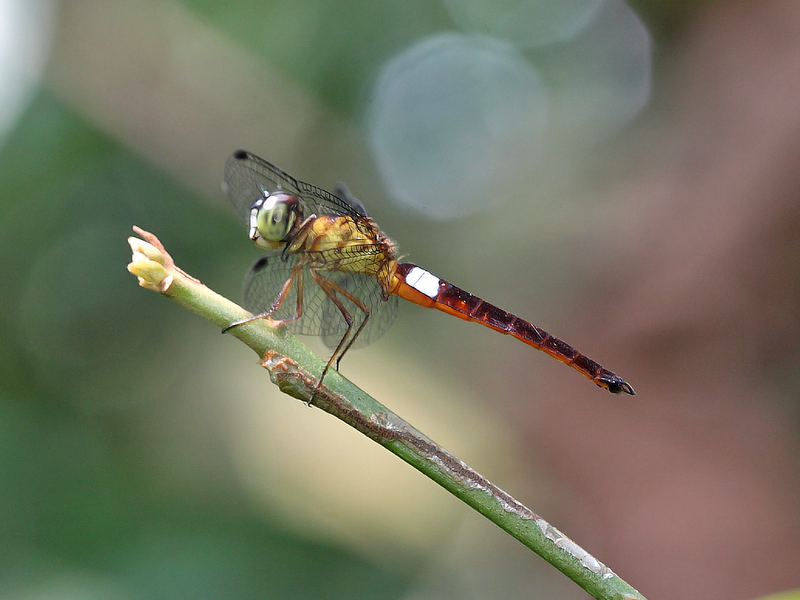 Female is reddish brown with obscure markings.